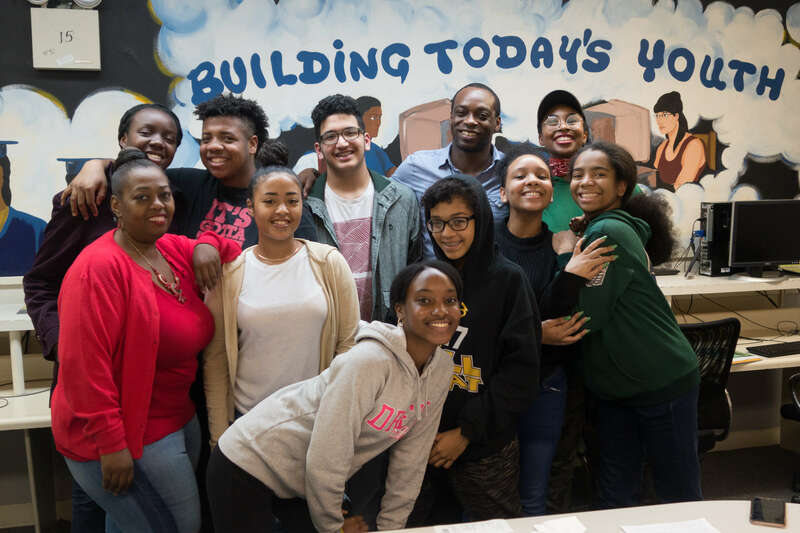 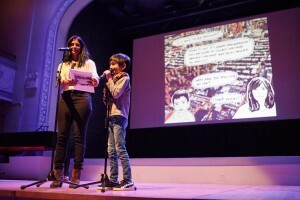 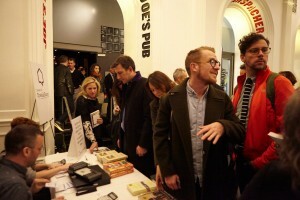 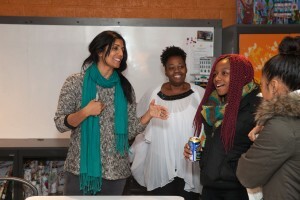 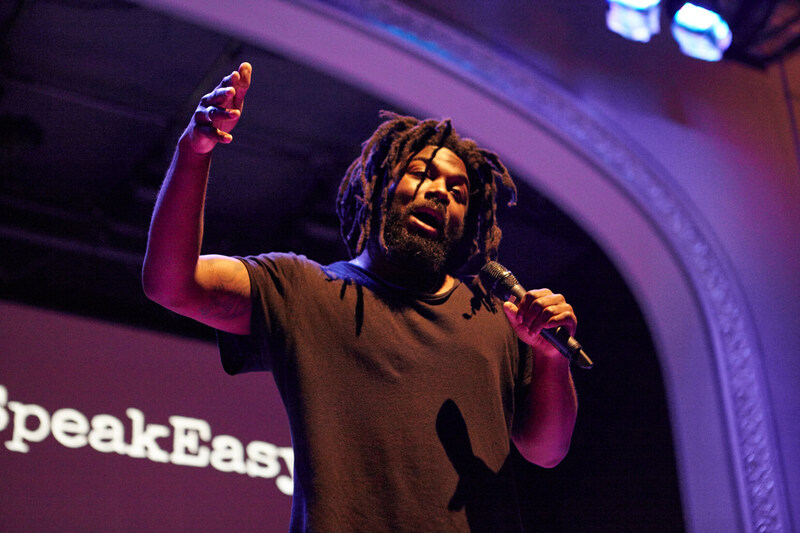 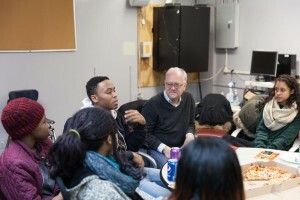 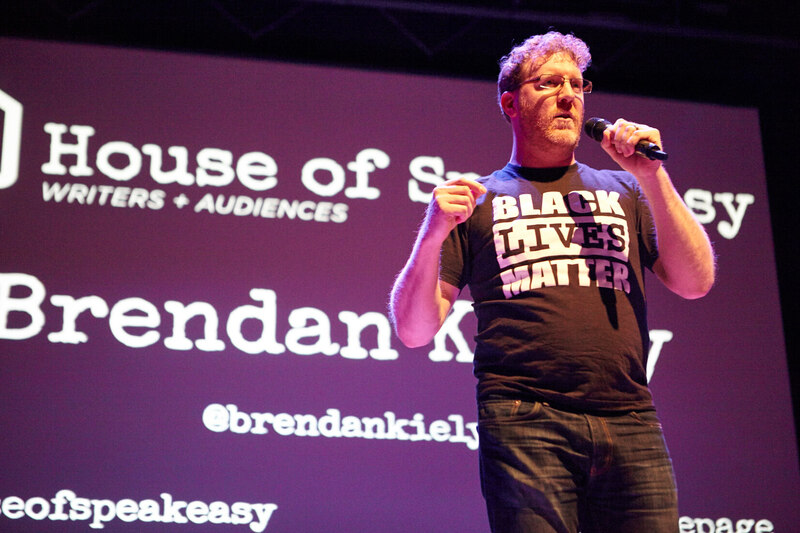 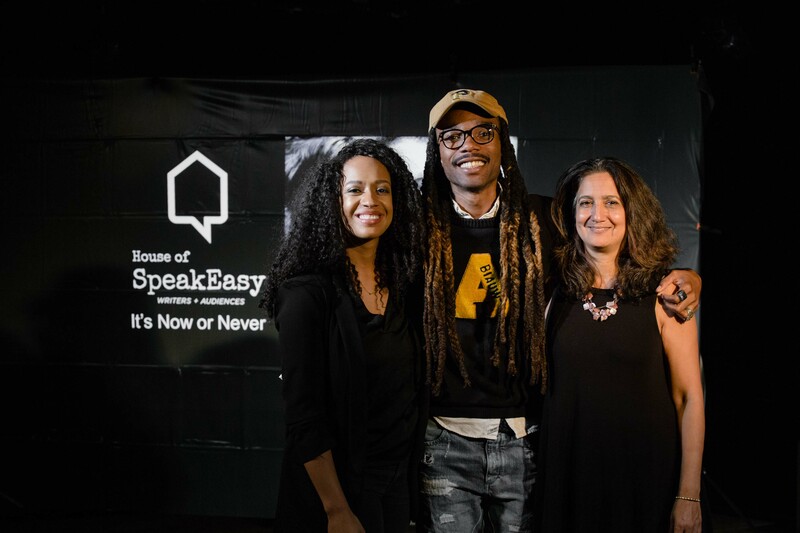 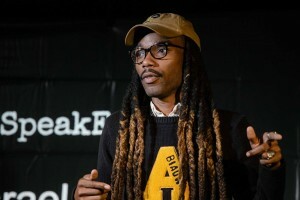 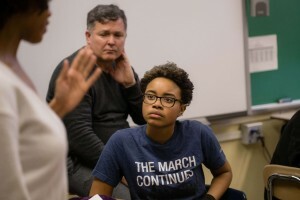 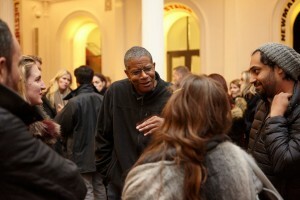 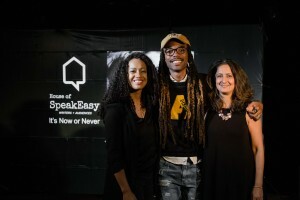 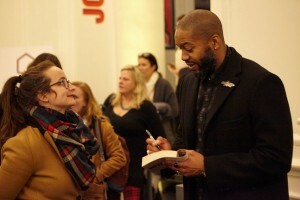 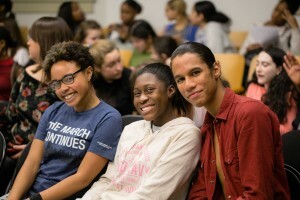 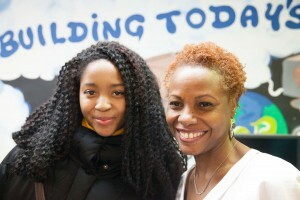 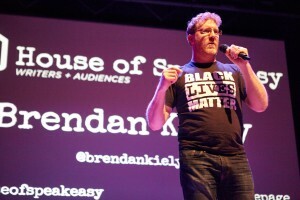 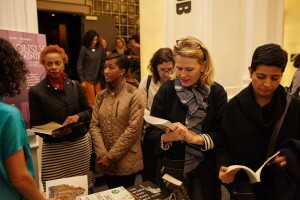 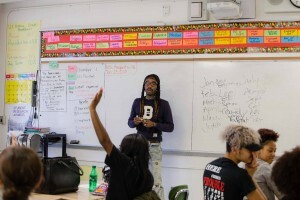 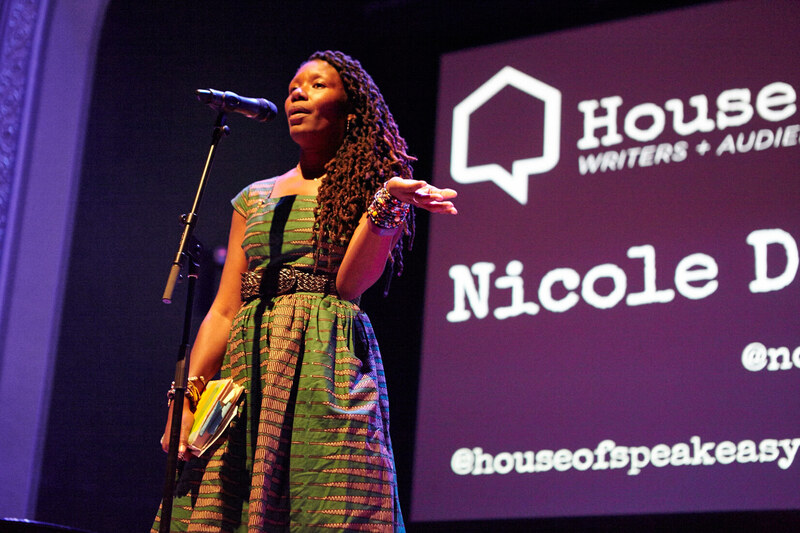 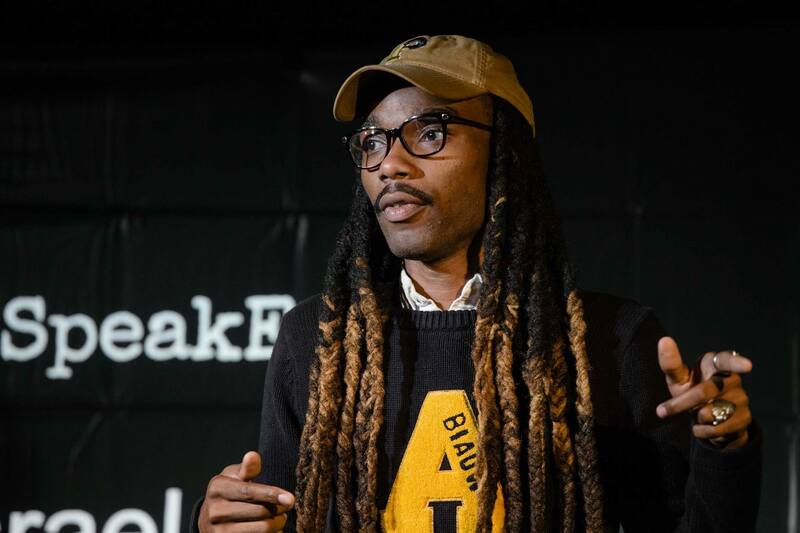 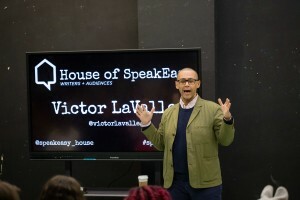 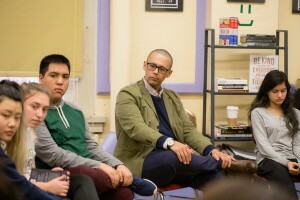 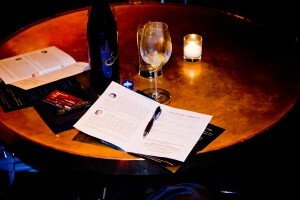 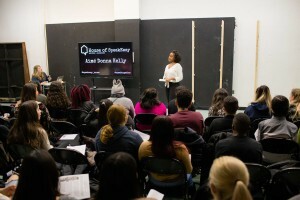 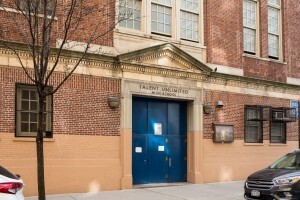 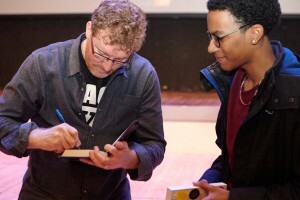 House of SpeakEasy Foundation believes that it is vital in our discordant times to be educating and preparing the next generation of students and readers to think constructively and engage critically with ideas and books. 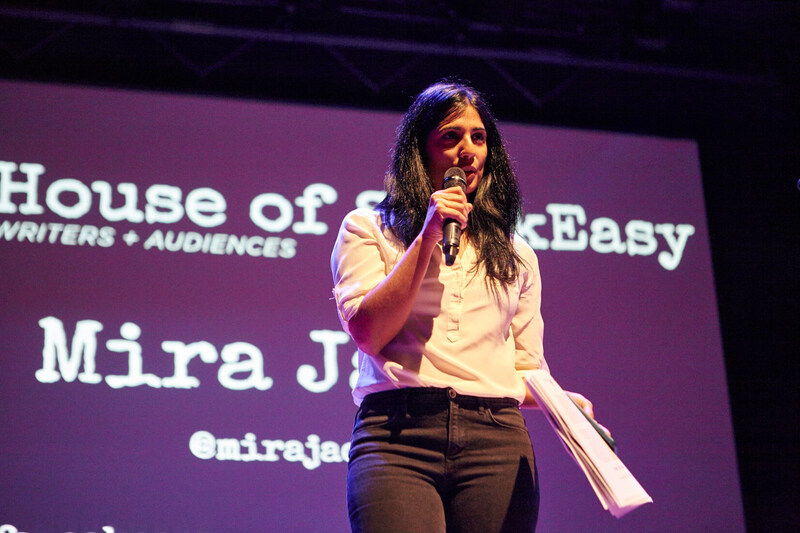 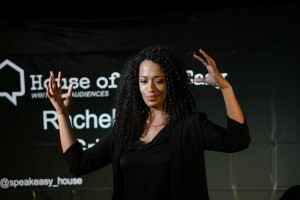 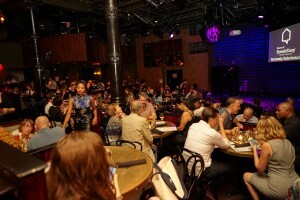 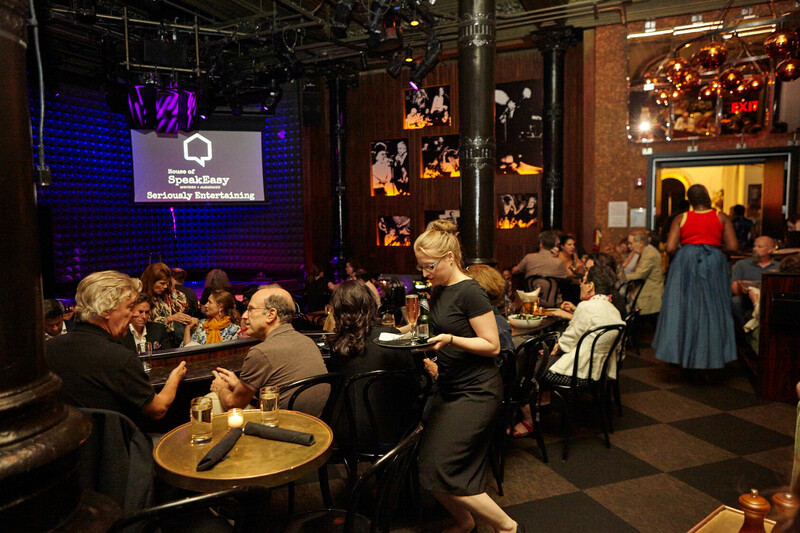 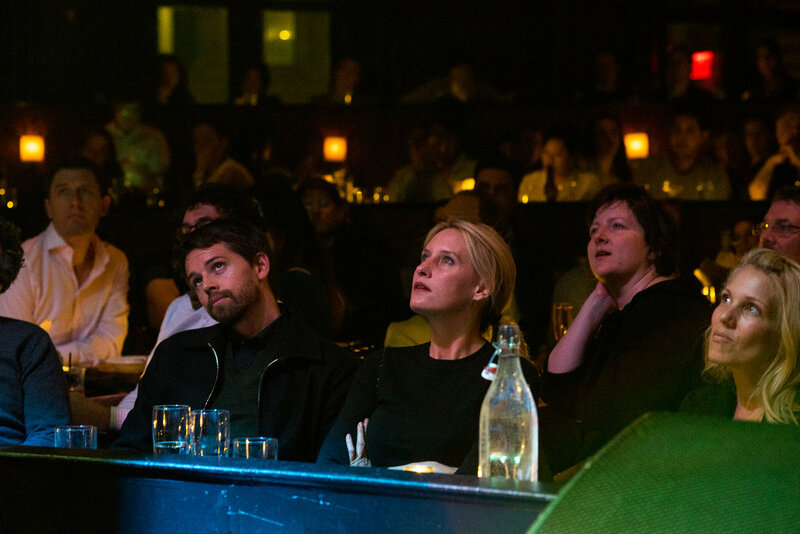 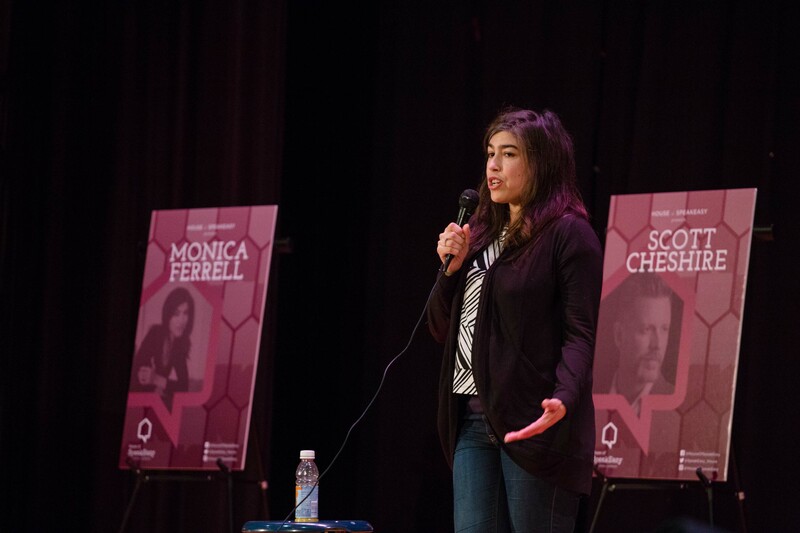 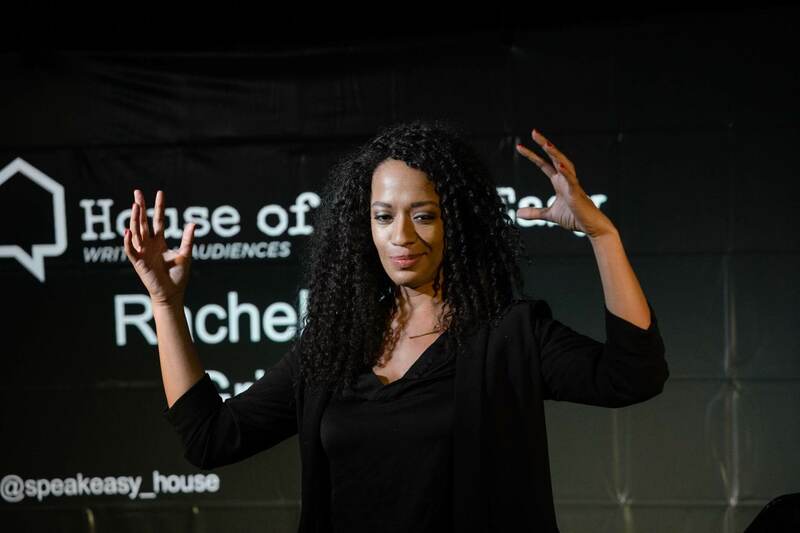 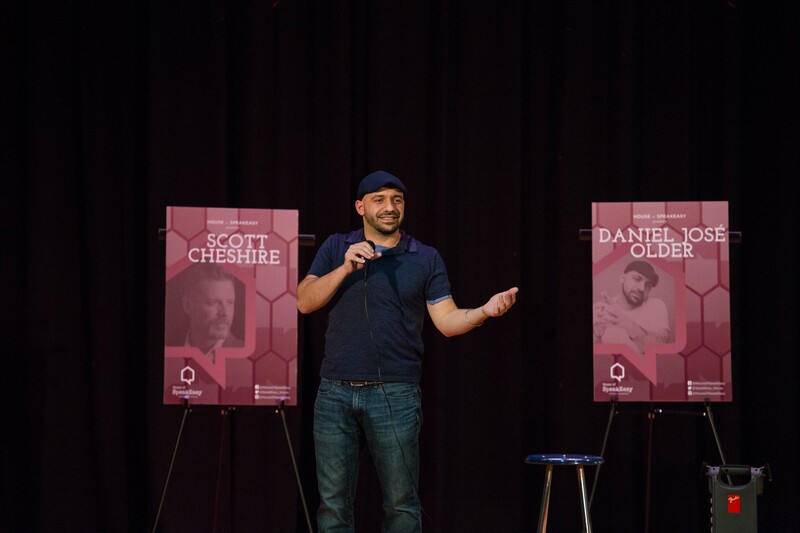 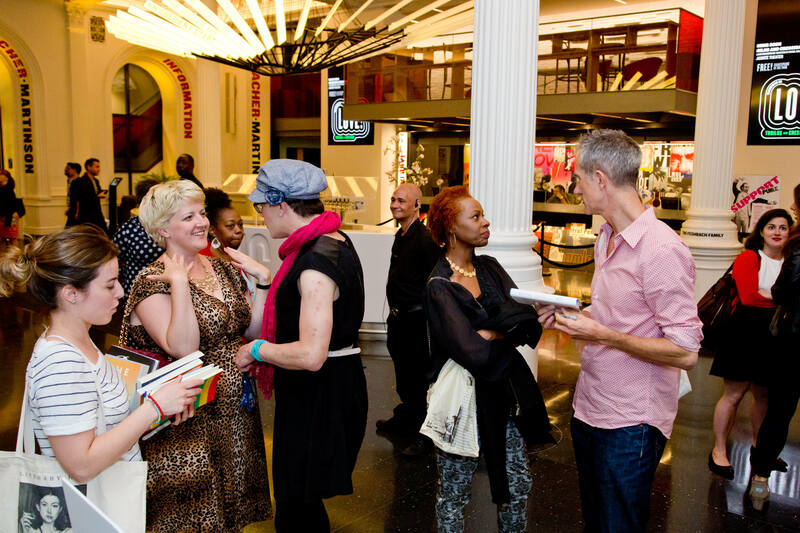 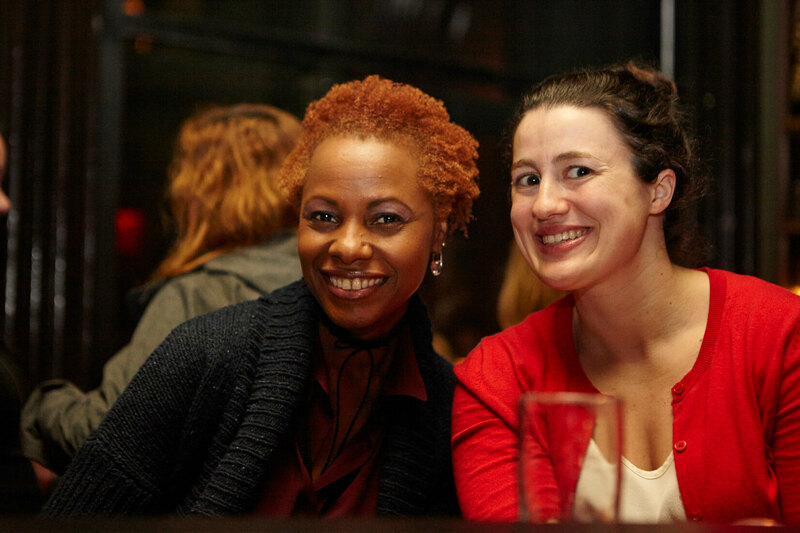 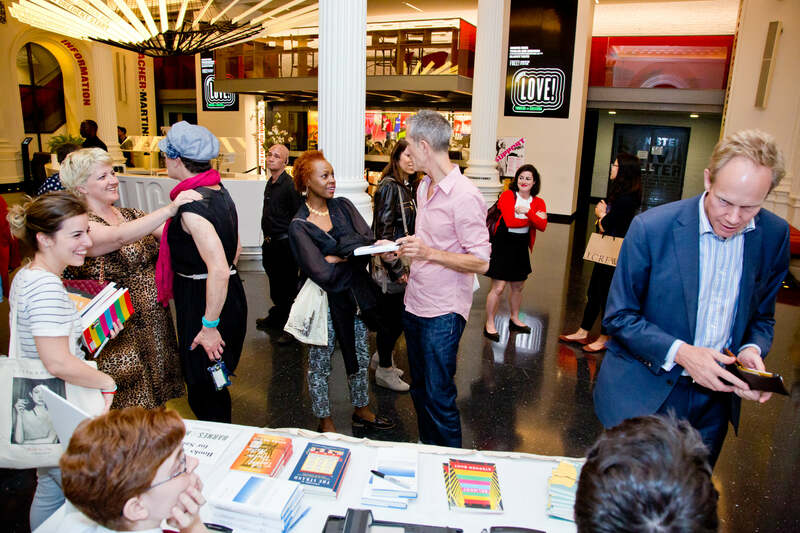 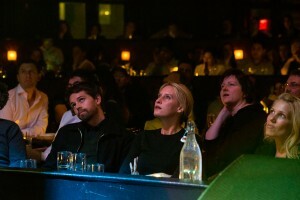 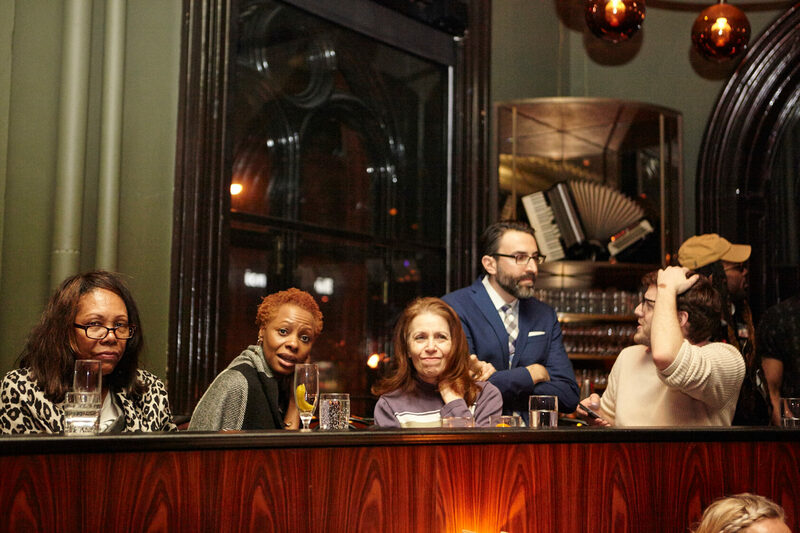 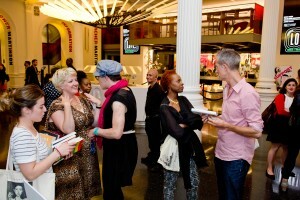 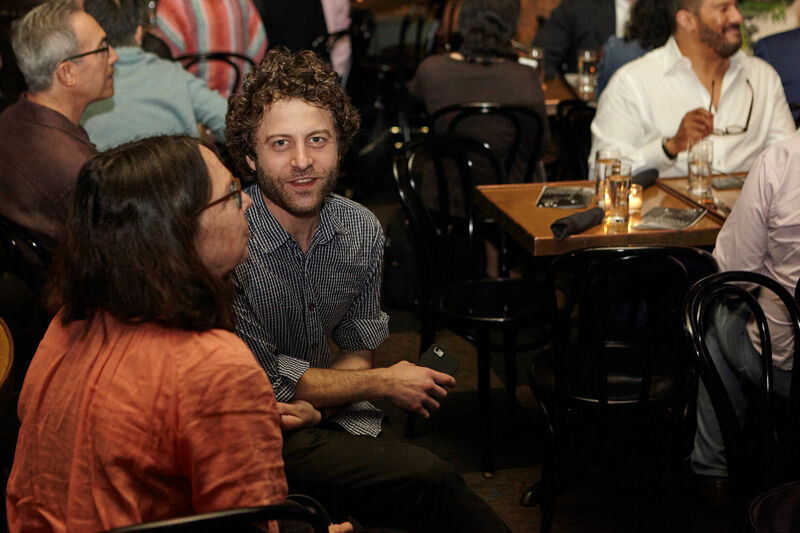 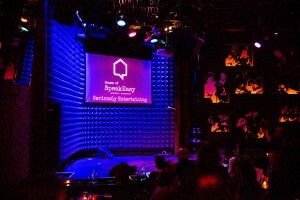 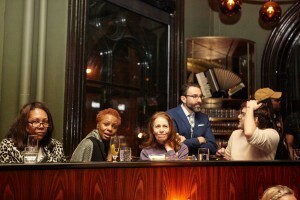 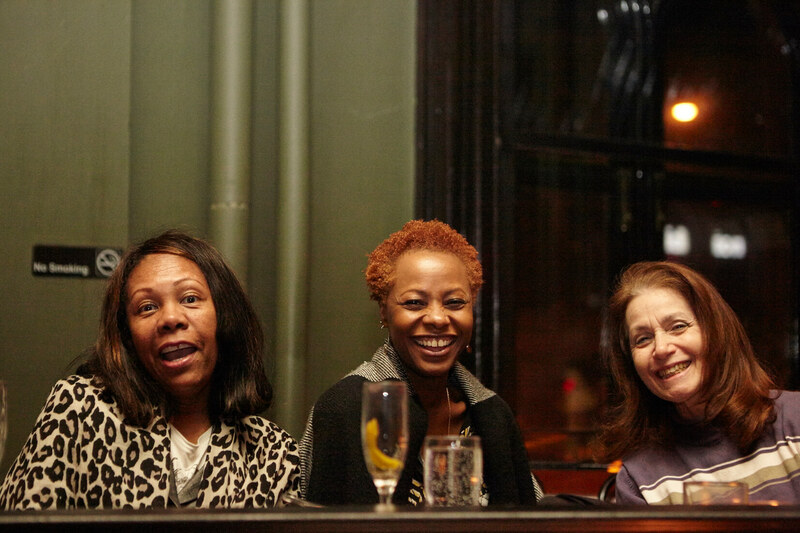 As part of House of SpeakEasy’s commitment to connecting writers and audiences in innovative ways, we launched Seriously Involved in 2015 using the model of our Seriously Entertaining shows. 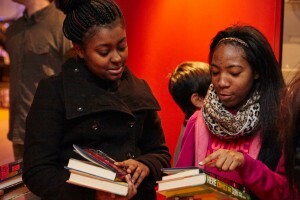 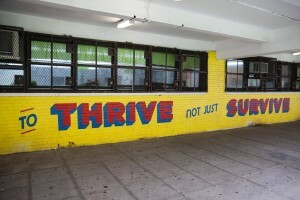 Seriously Involved’s charitable work is comprised of three distinct areas. The SpeakTogether, SpeakFreely, and SpeakUp programs are now considered core components of SpeakEasy’s nonprofit mission. 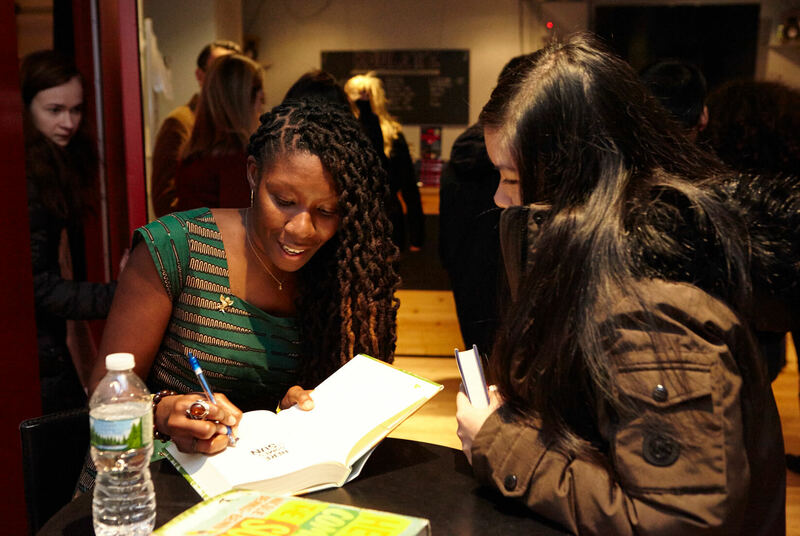 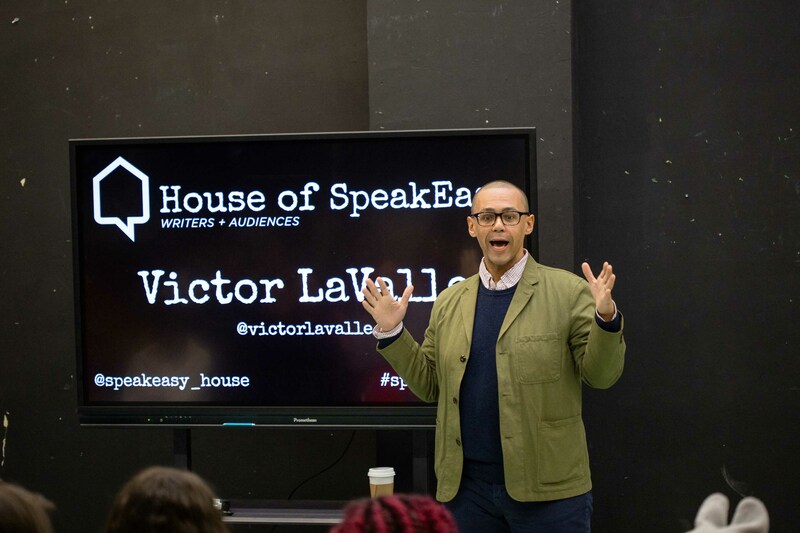 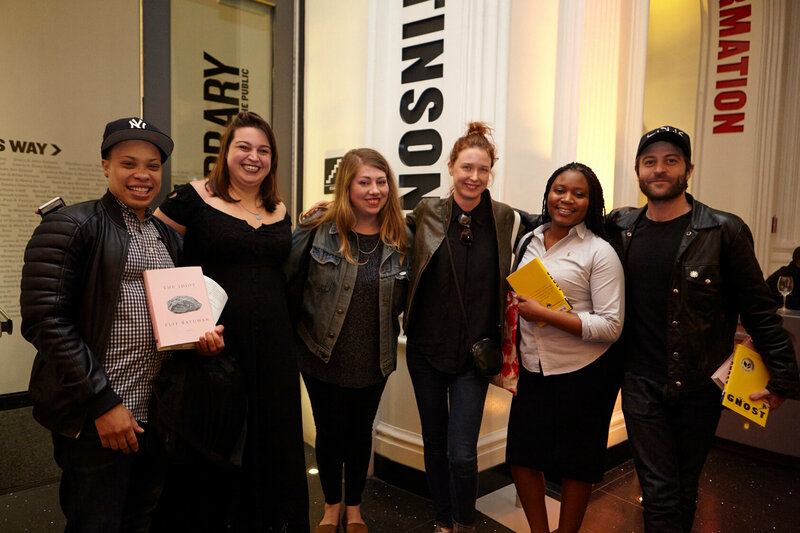 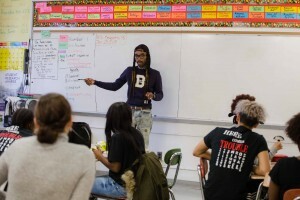 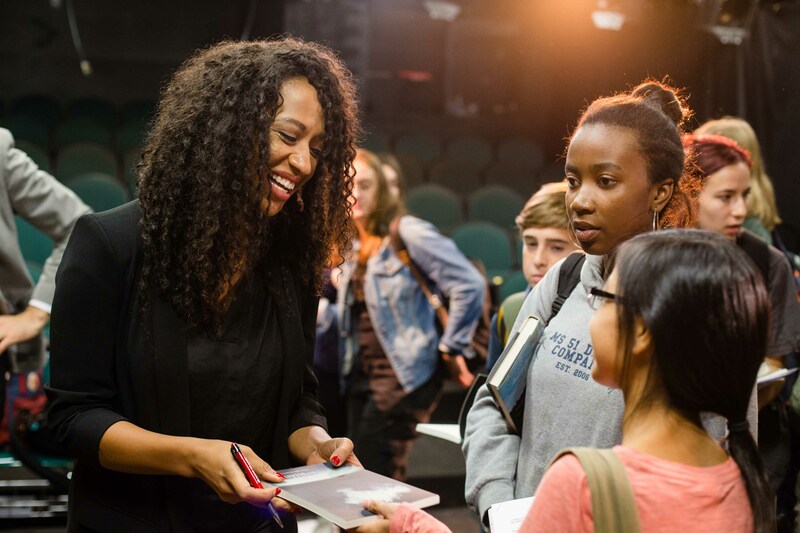 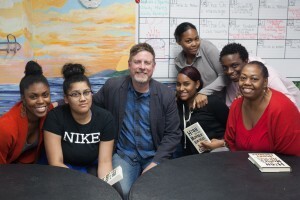 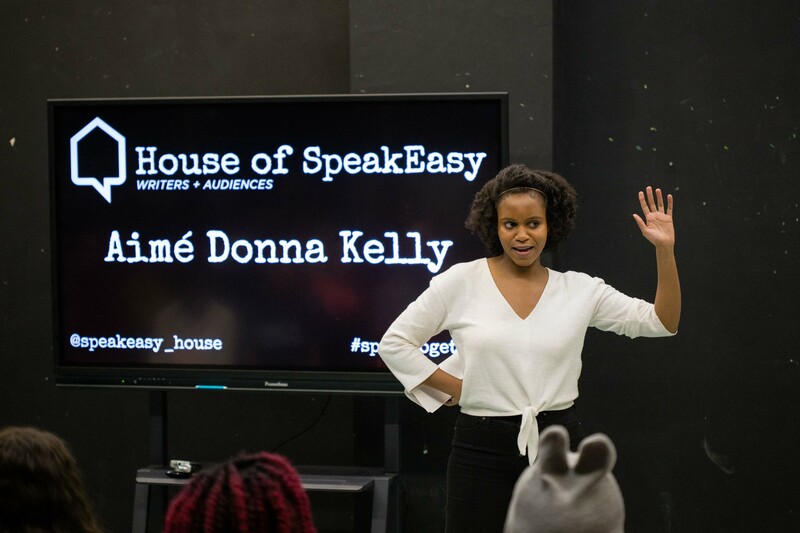 These outreach efforts are intended to offer students and teachers opportunities to engage directly with SpeakEasy’s writers and performers to experience firsthand the transformative power of literature. 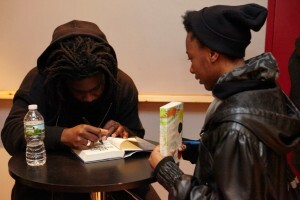 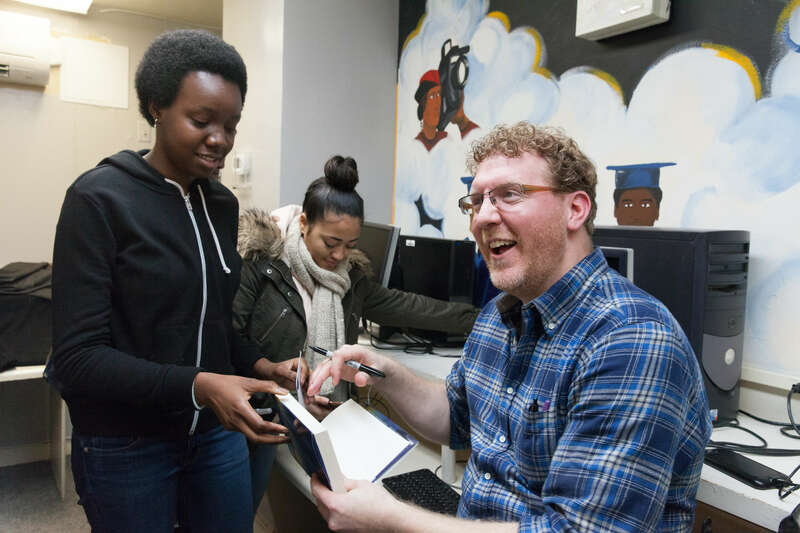 We provide free books to all participating students and teachers across all our programs, and encourage students to have their books signed by the authors they meet through our work. 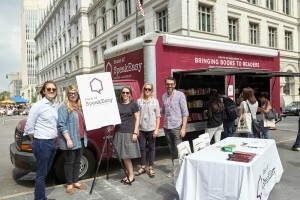 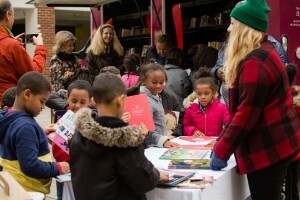 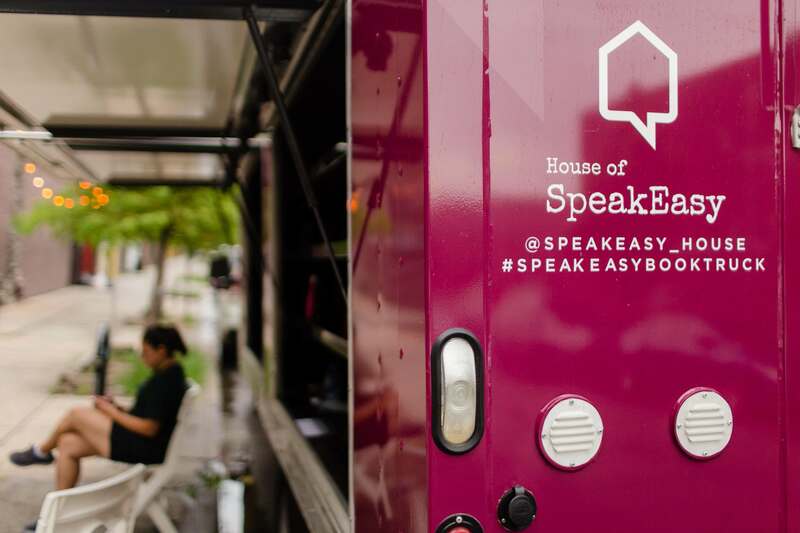 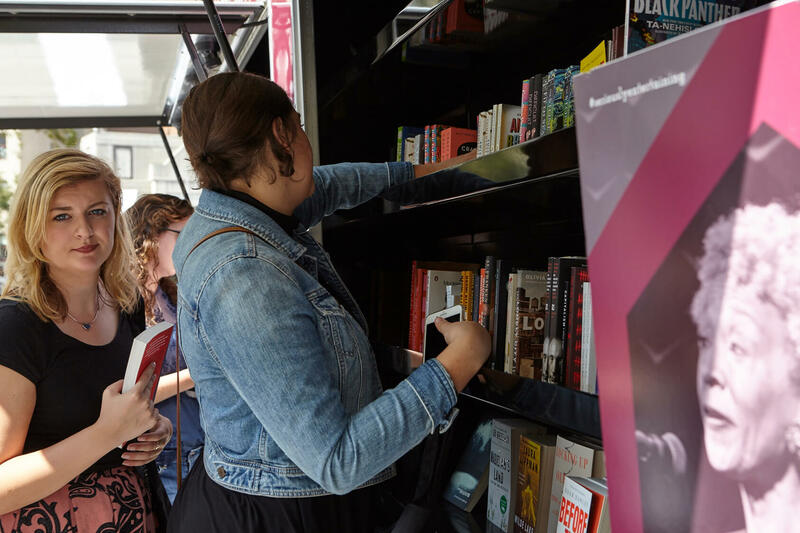 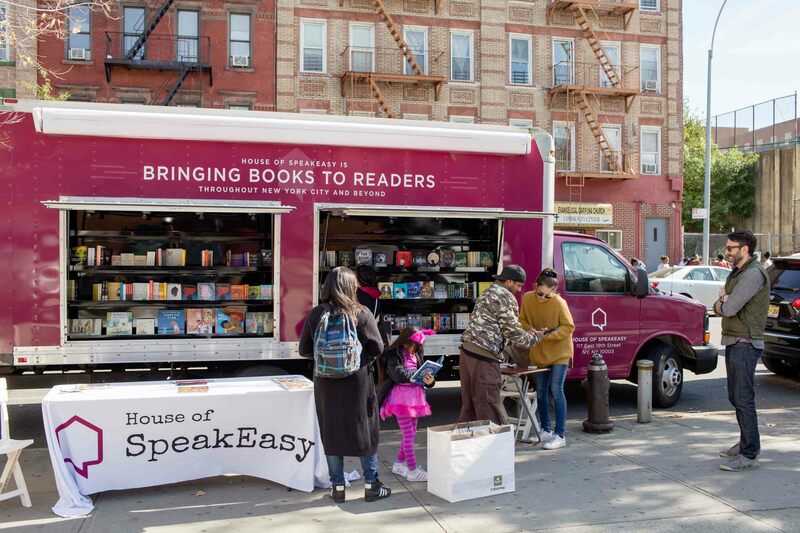 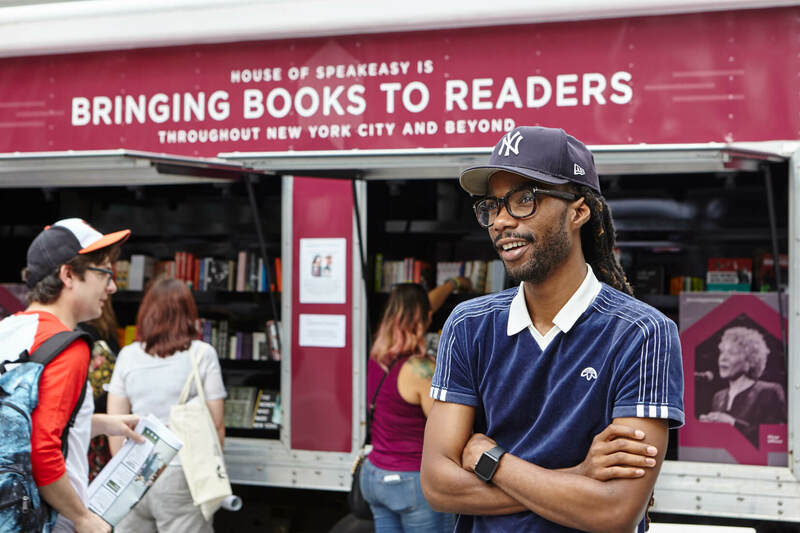 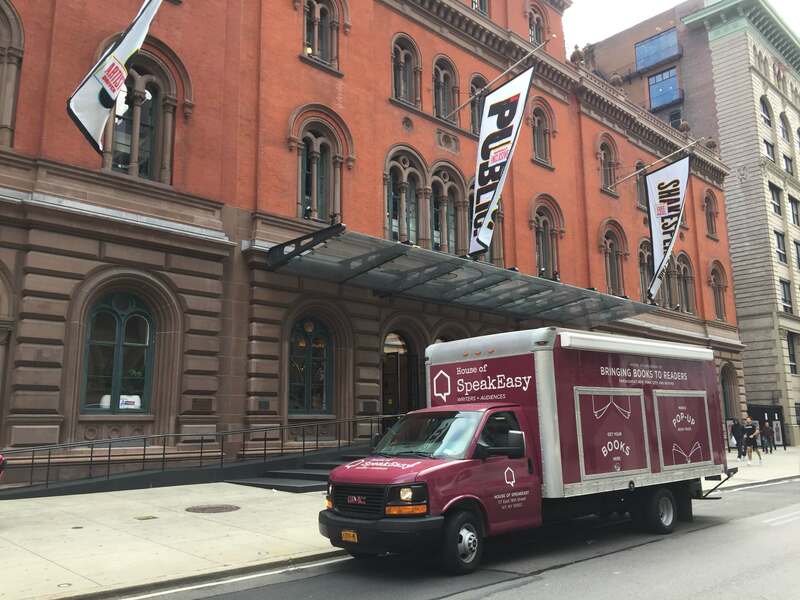 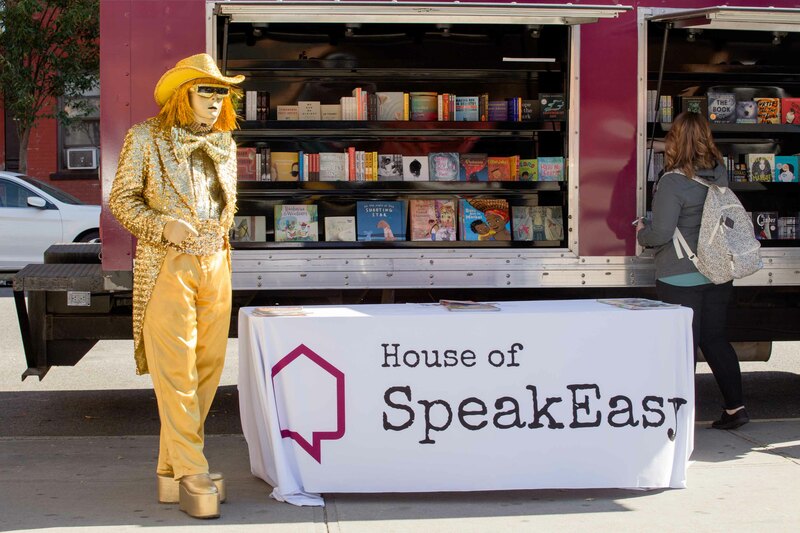 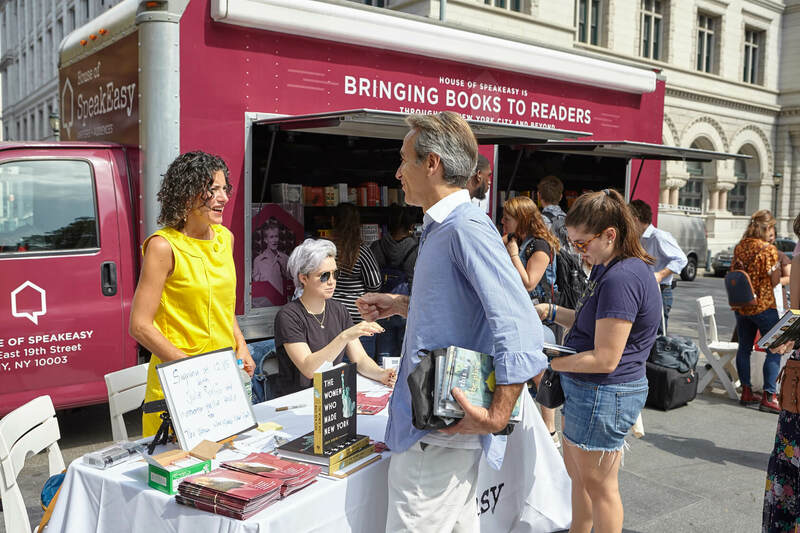 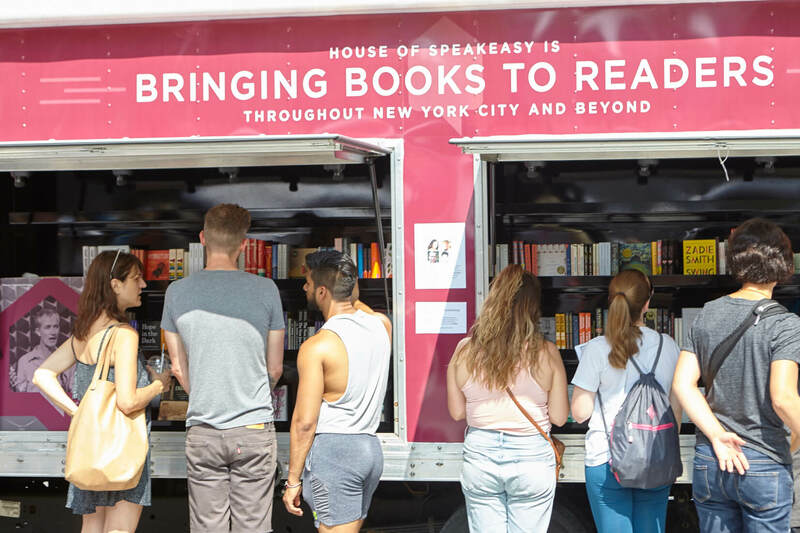 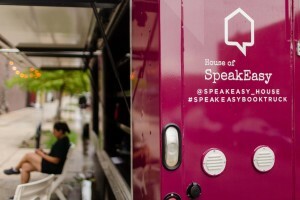 In 2017, we launched our third initiative, SpeakUp, the SpeakEasy book truck, which is meant to serve as an antidote to the proliferation of “book deserts,” neighborhoods where bookstores are in short supply, or worse, nonexistent. 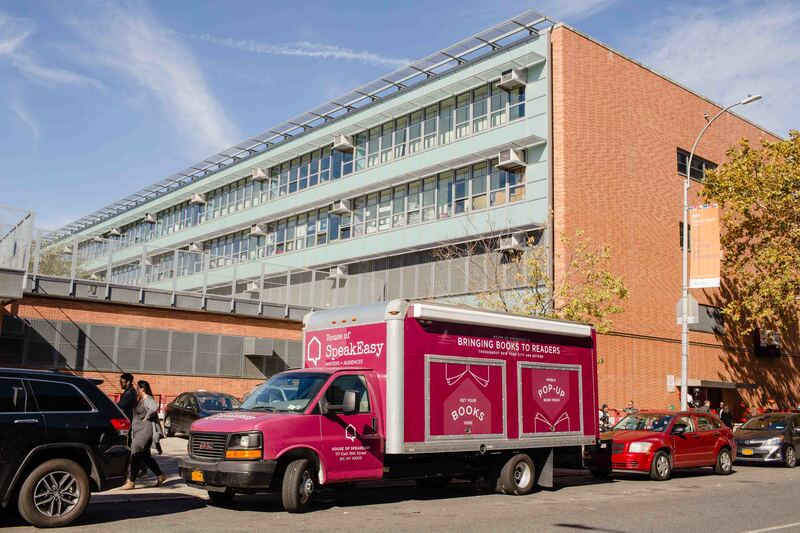 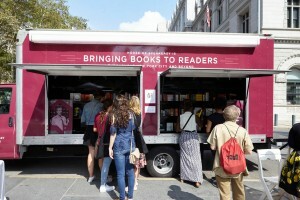 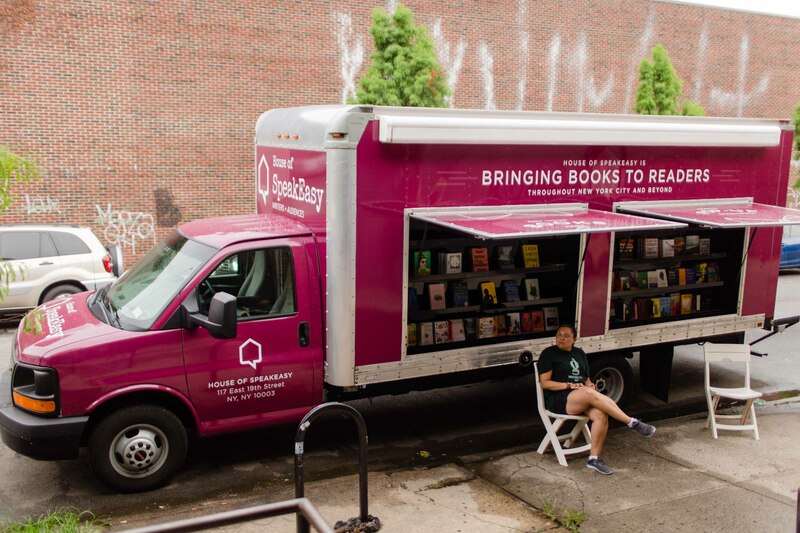 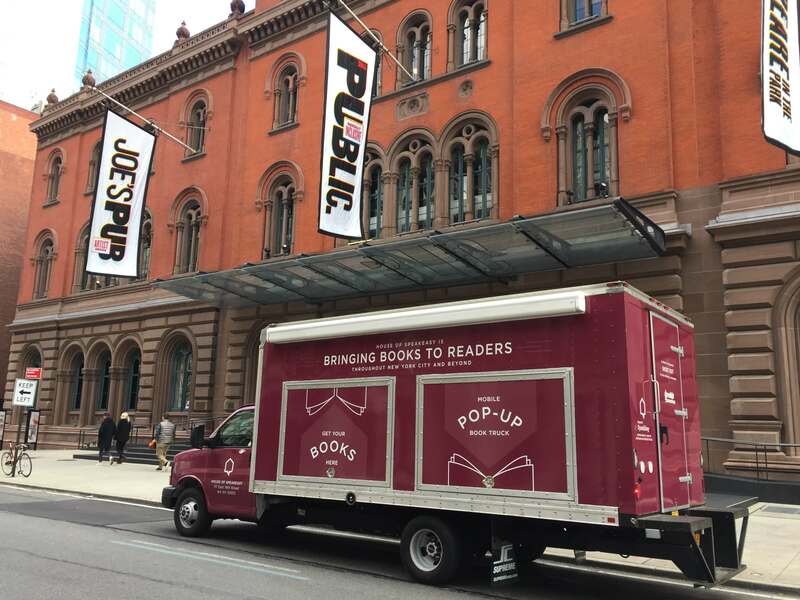 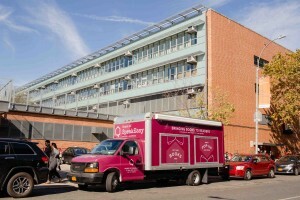 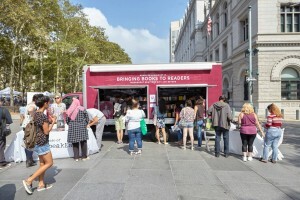 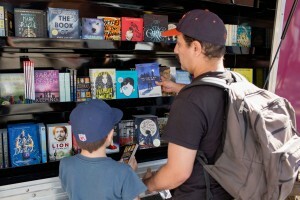 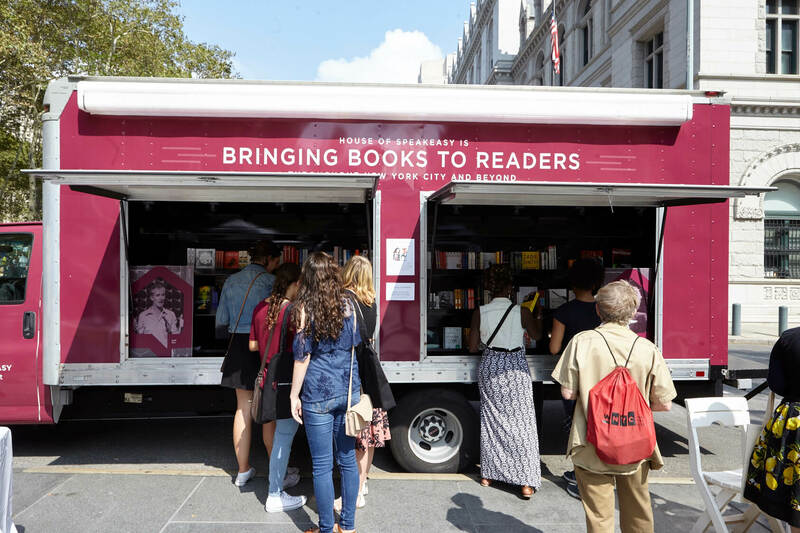 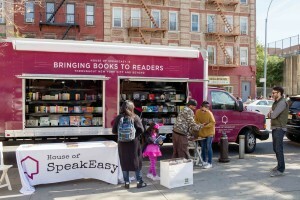 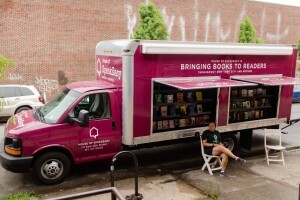 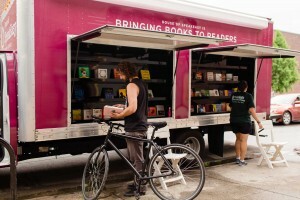 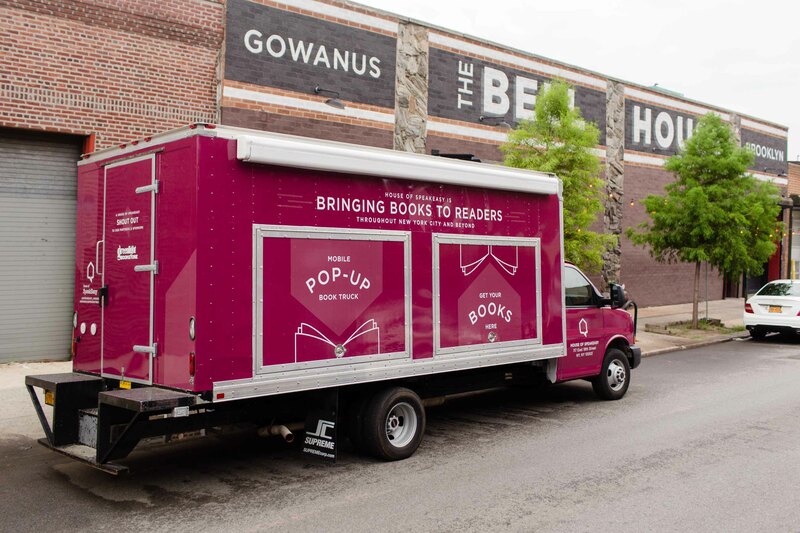 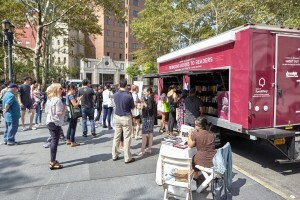 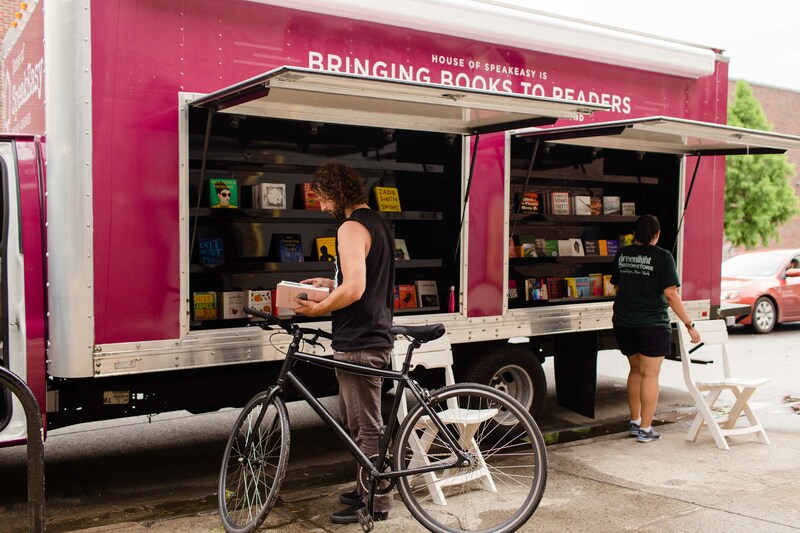 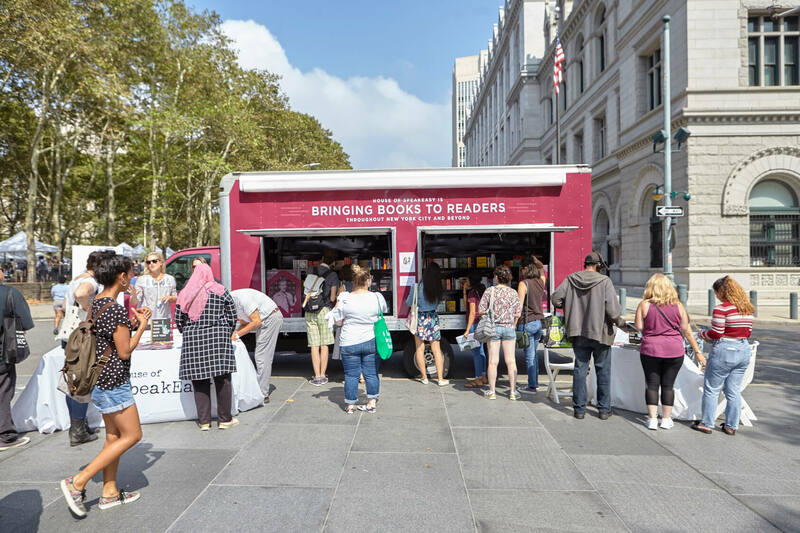 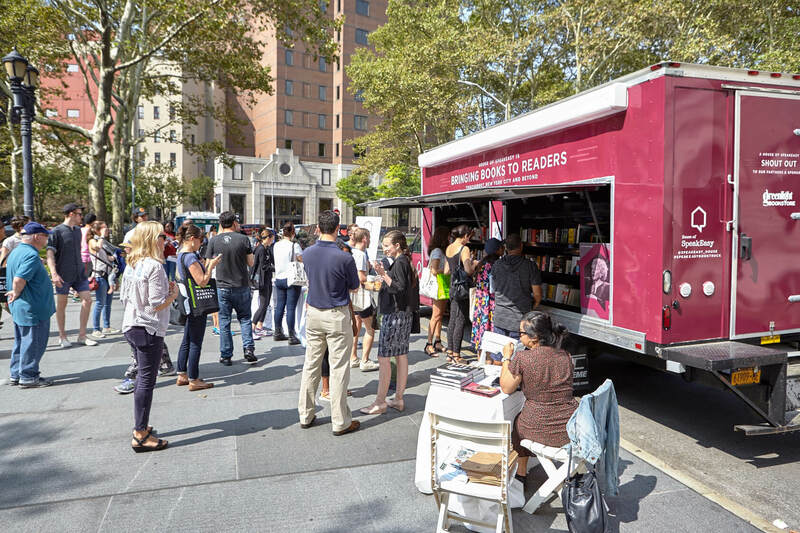 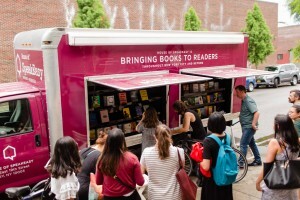 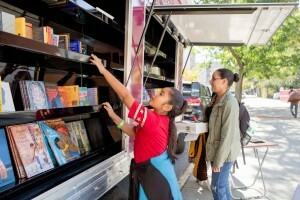 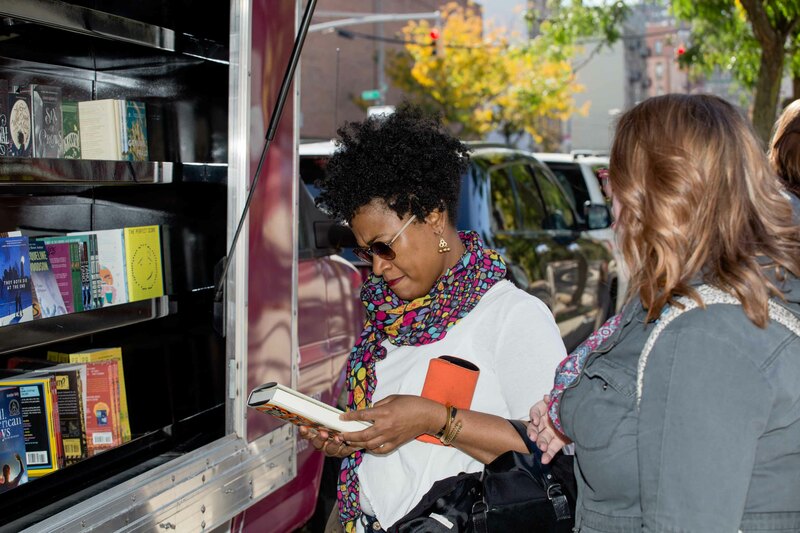 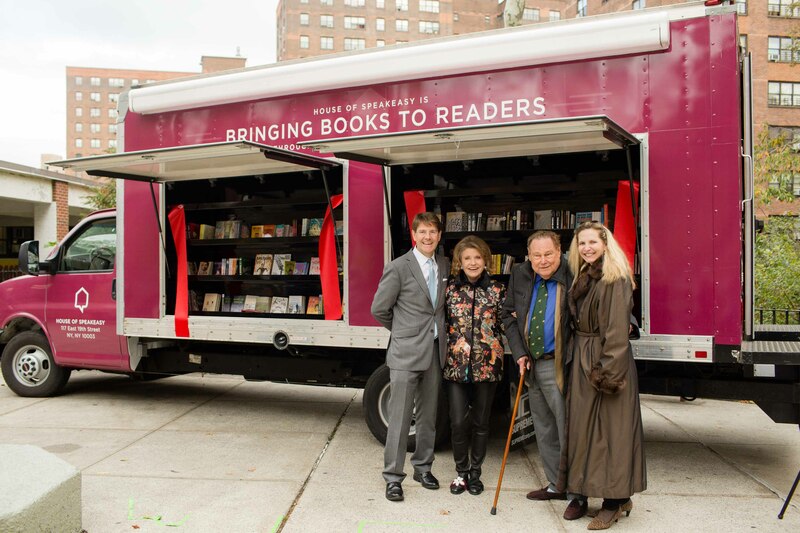 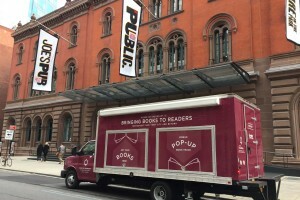 This retrofitted truck is designed to be a mobile book shop, bringing books to many of the vibrant neighborhoods in New York City that are in most need. 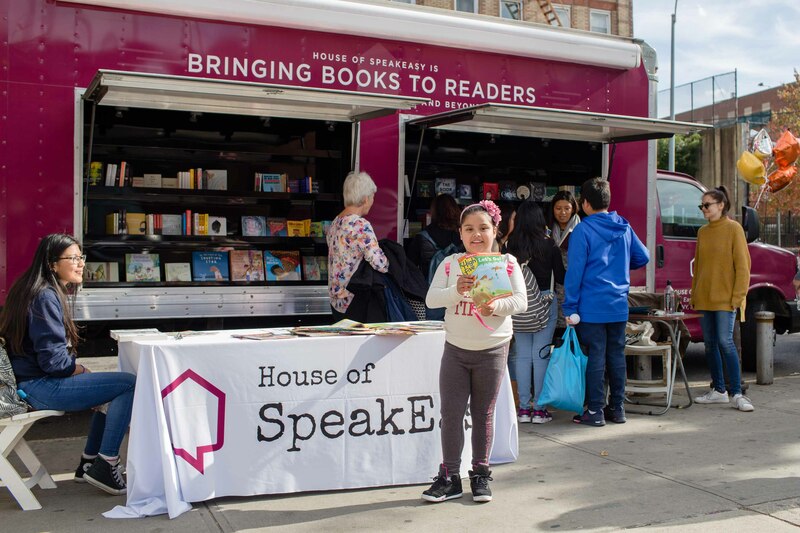 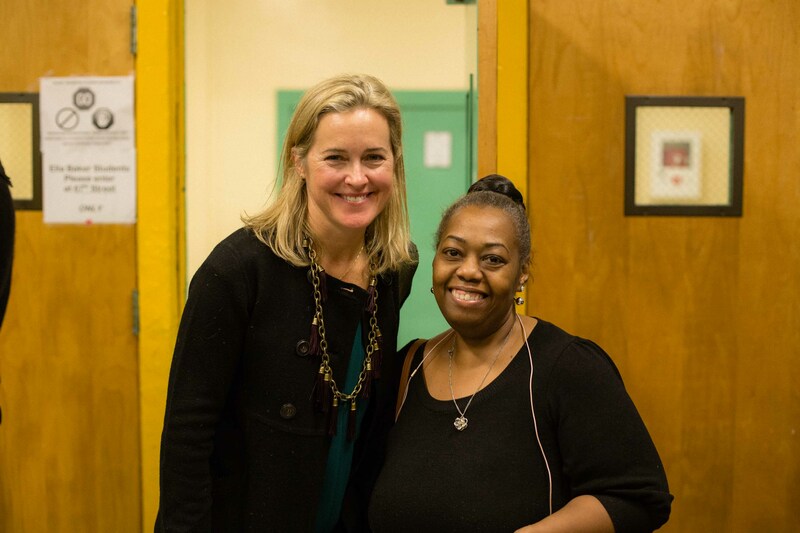 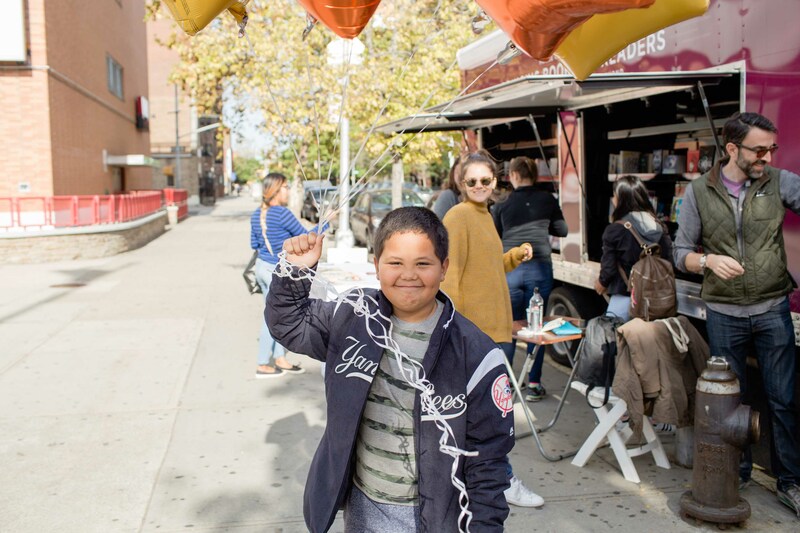 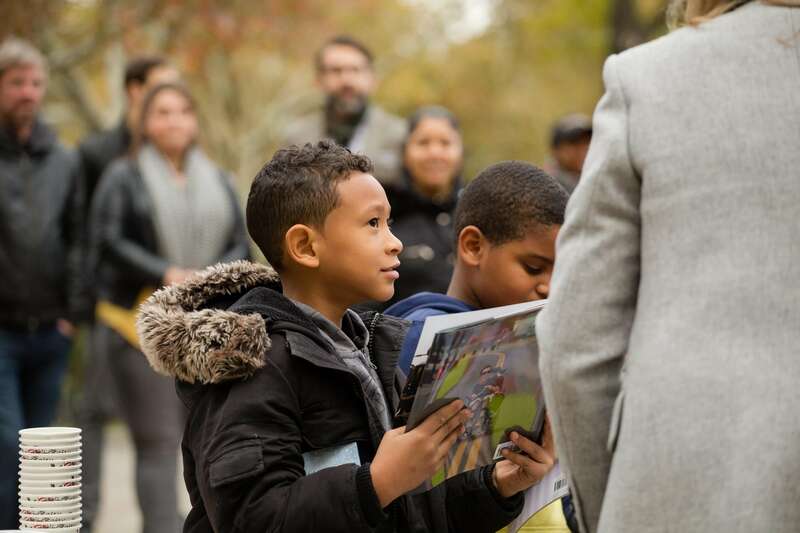 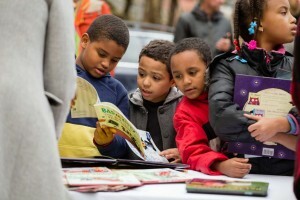 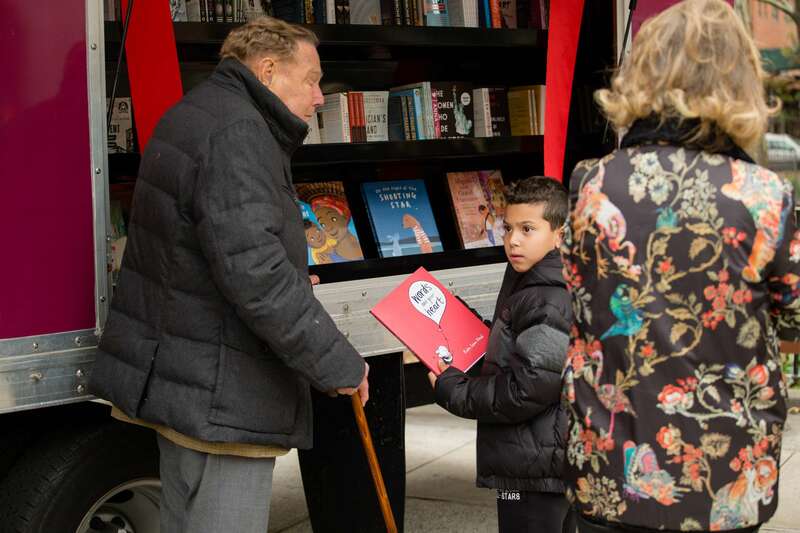 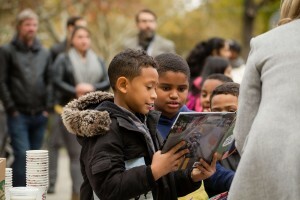 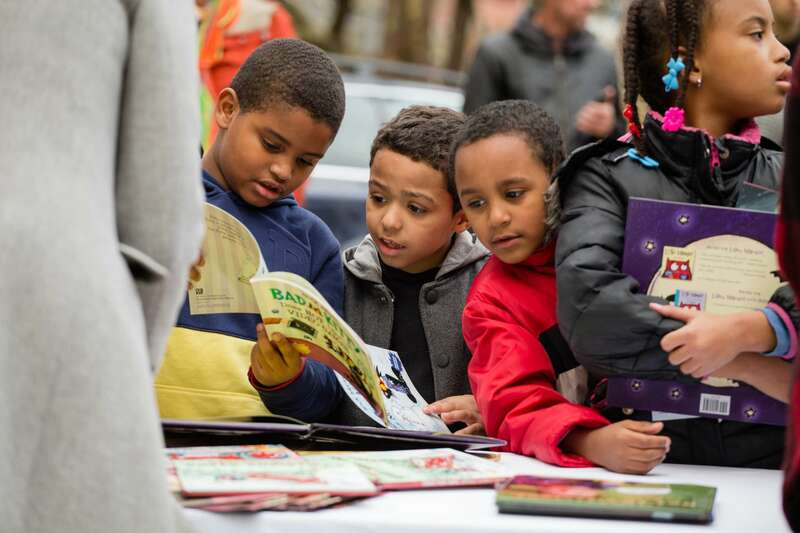 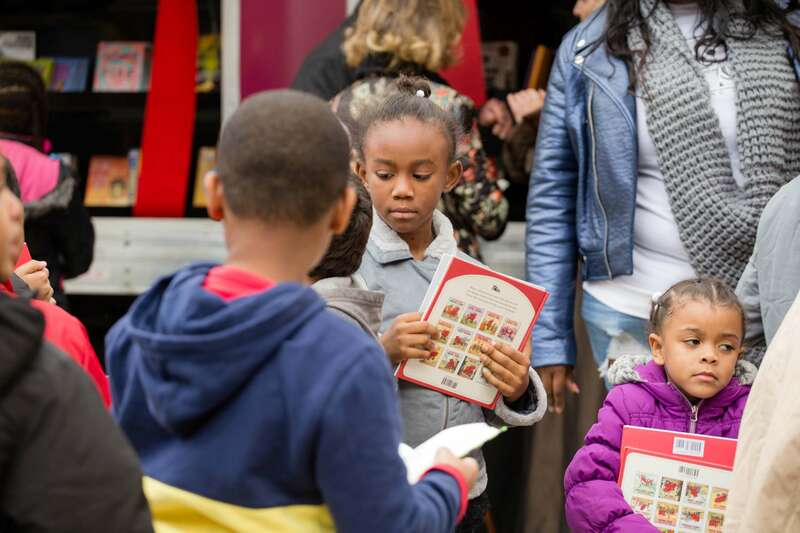 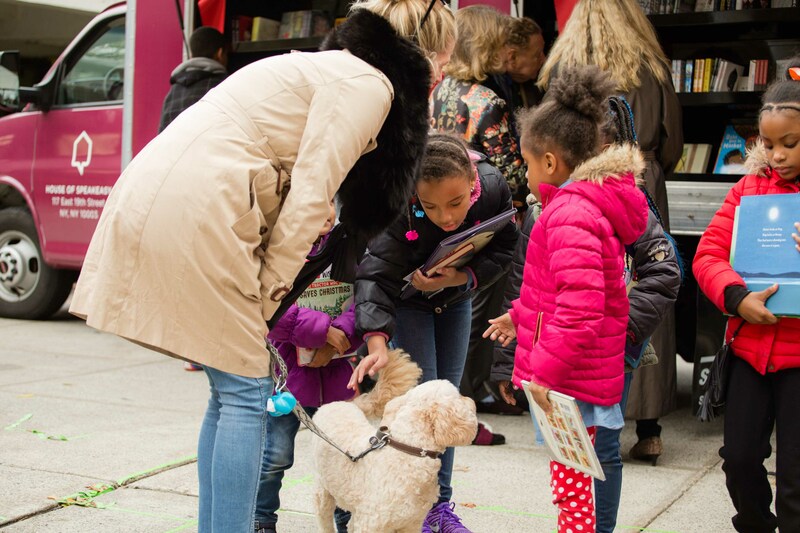 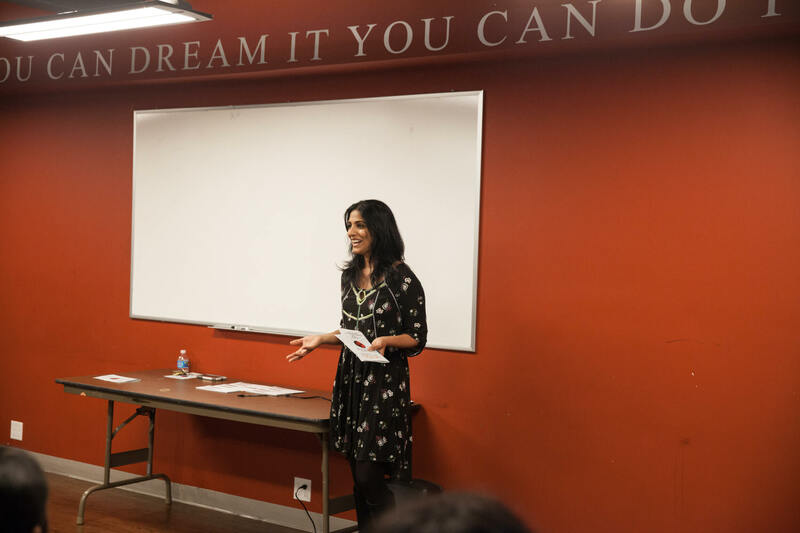 Working with local community boards and literary organizations in multiple boroughs, the SpeakUp initiative uses several models to accommodate the needs of specific communities, from offering discounted books for sale, to giveaways, to functioning as a lending library whenever possible. 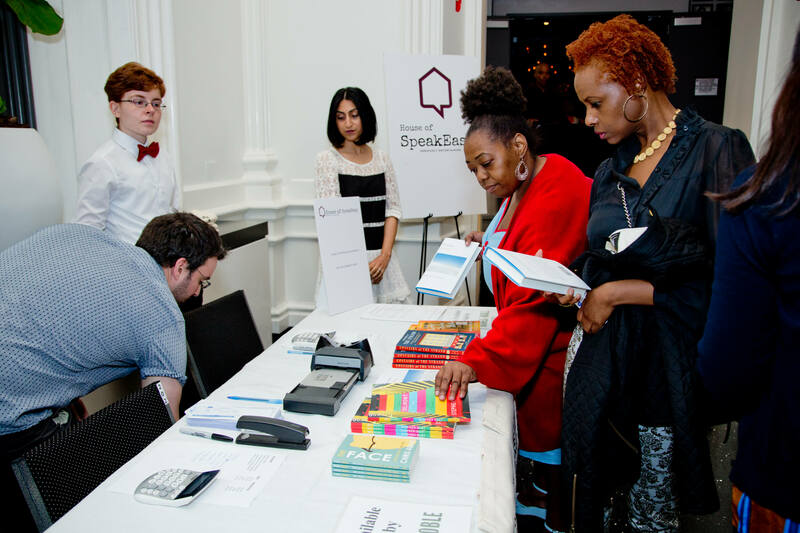 SpeakTogether is our educational outreach program that brings writers into New York City public schools and community centers. 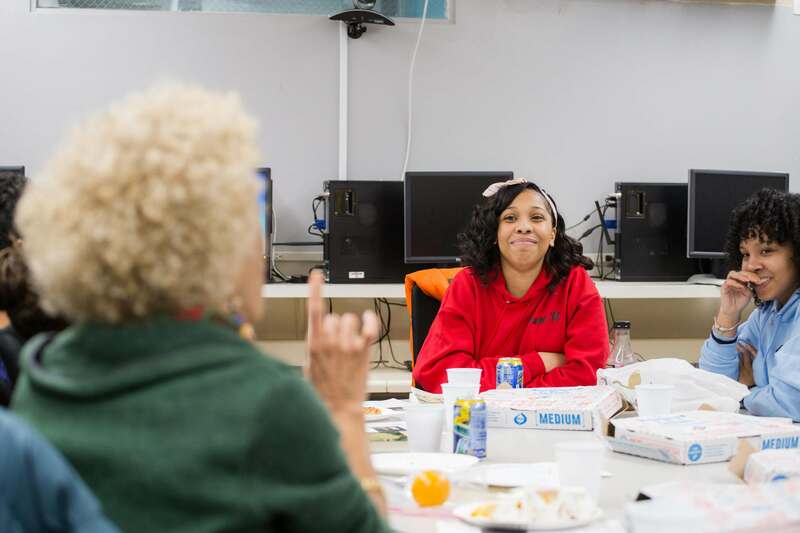 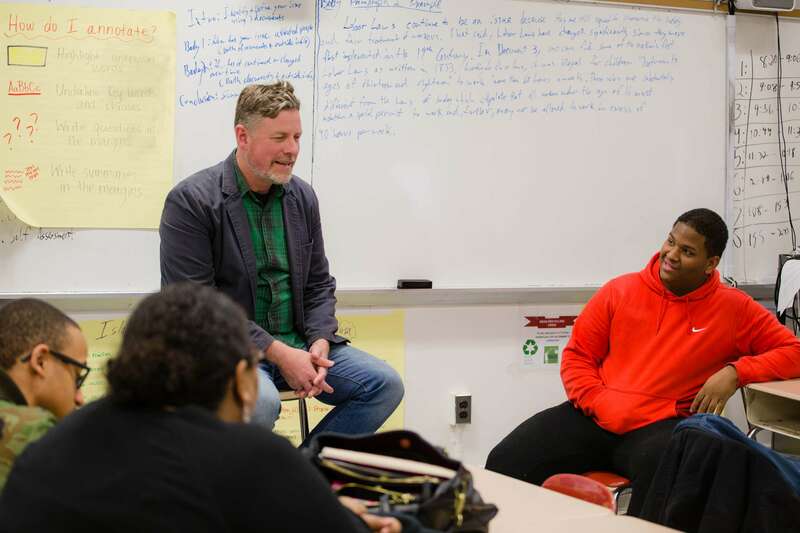 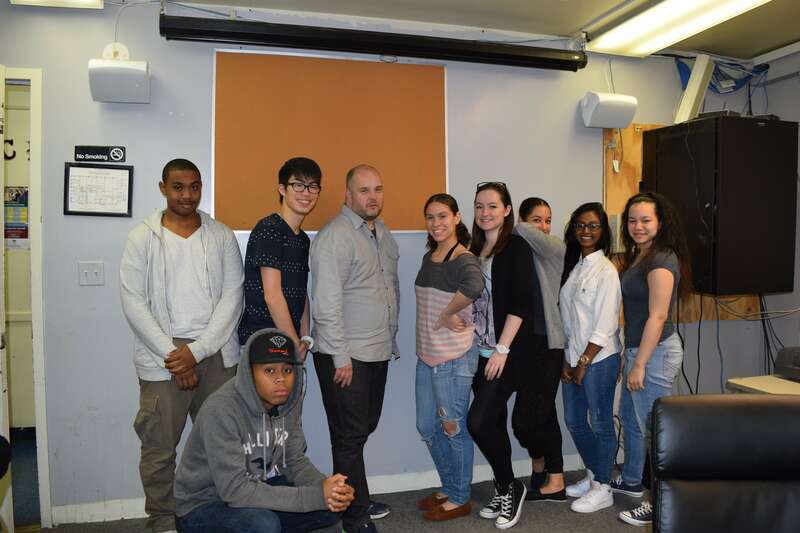 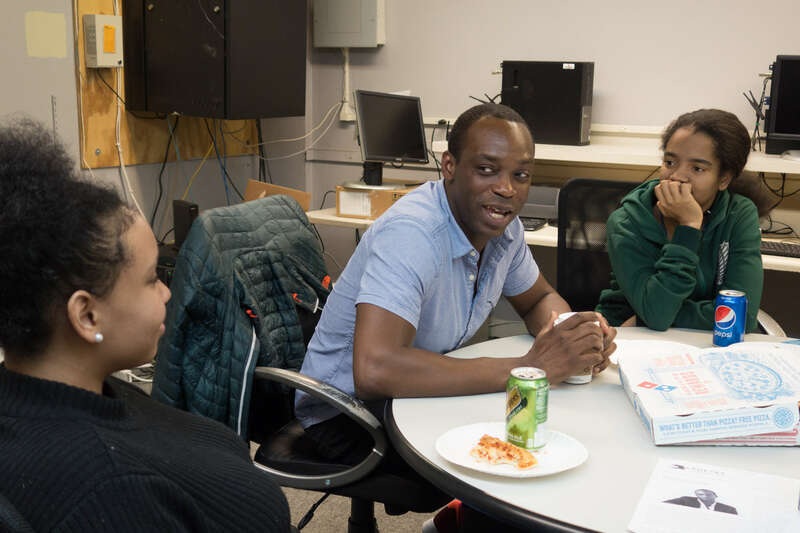 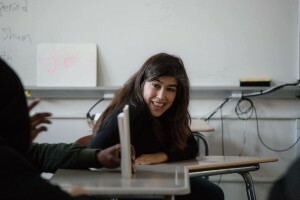 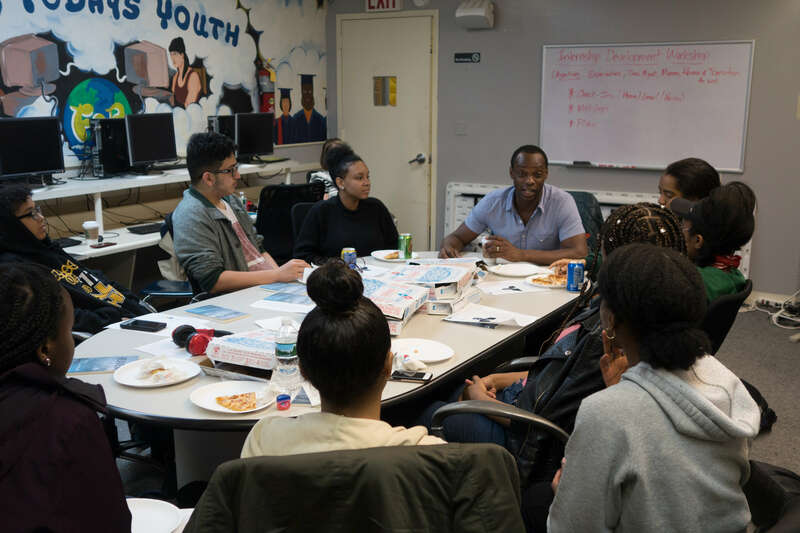 For the last three years, we have brought dozens of writers to teach and work one-on-one in small groups with promising high school students as part of Union Settlement’s highly regarded College Readiness Program. 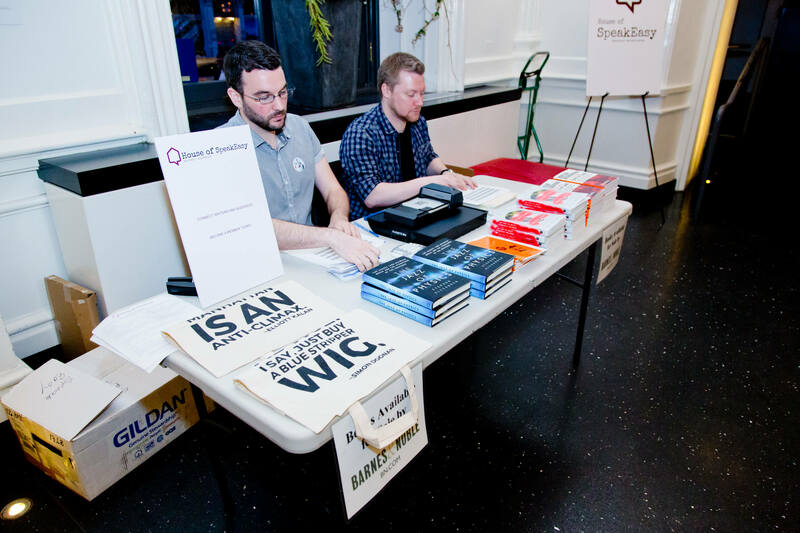 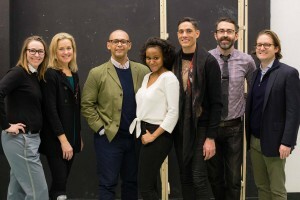 John Guare, Susan Cheever, David Gilbert, Michael Friedman, Margo Jefferson, and Doug Wright are a few of the writers who have participated. 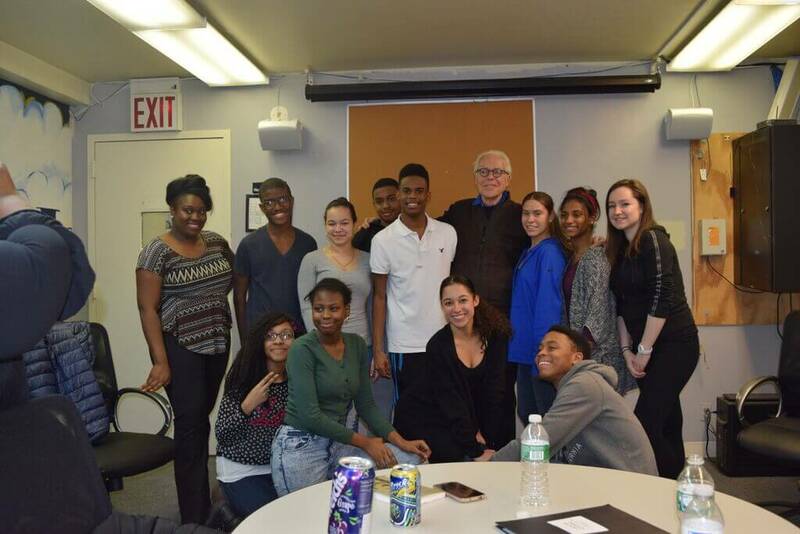 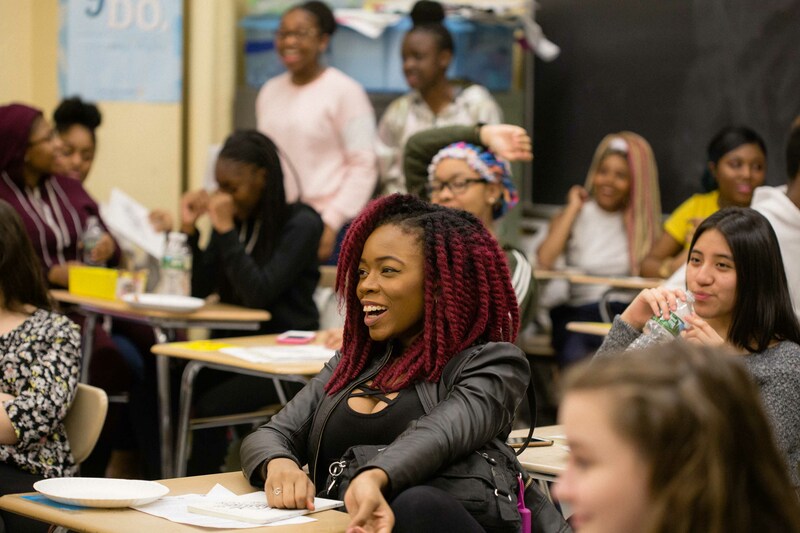 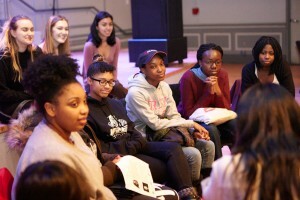 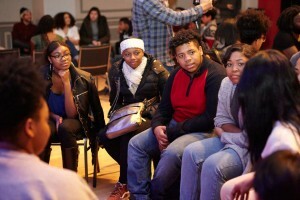 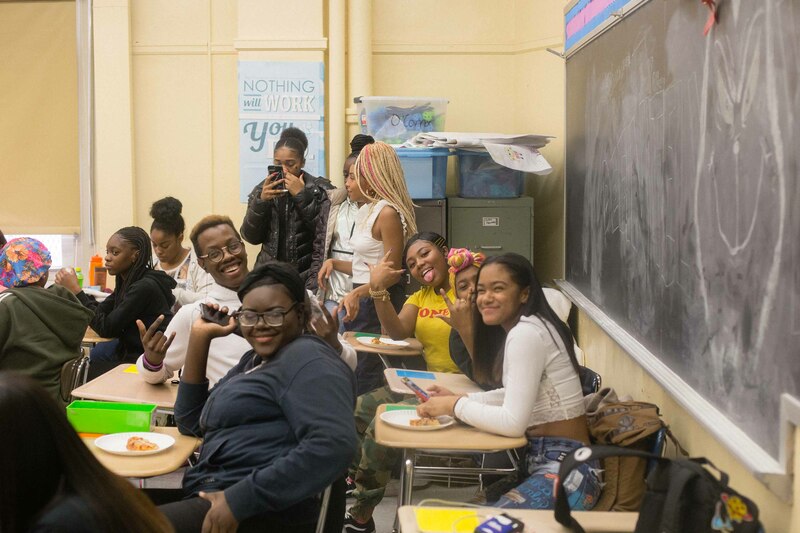 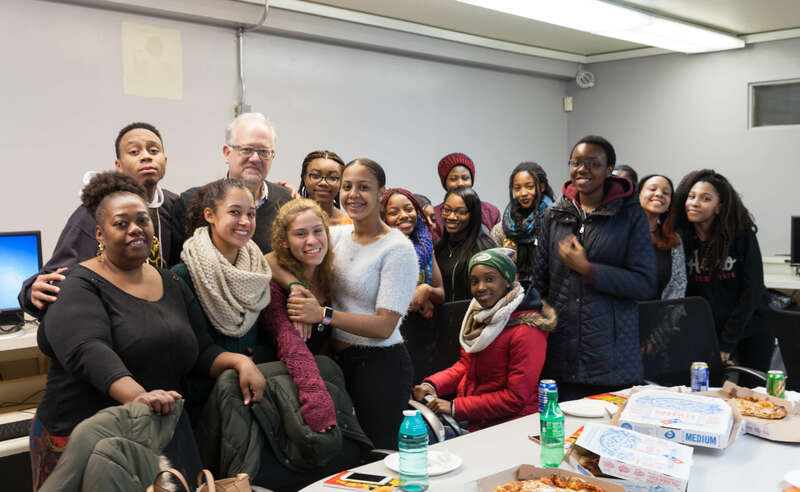 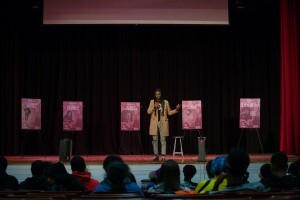 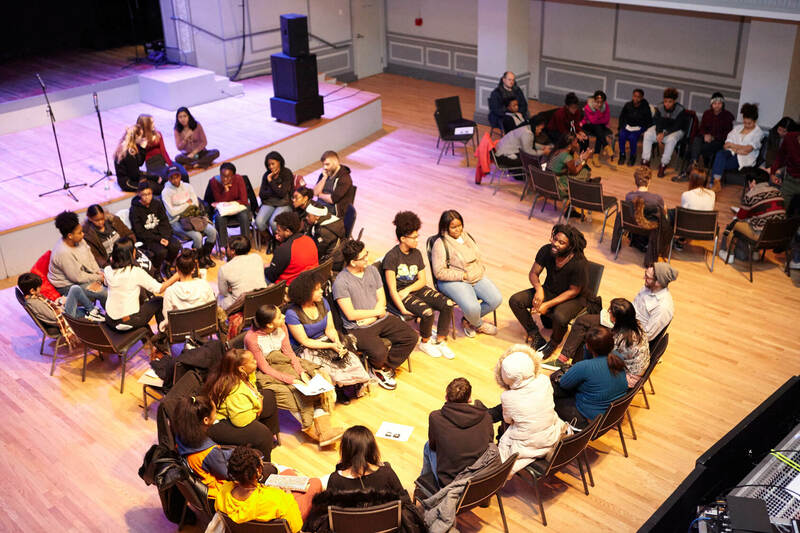 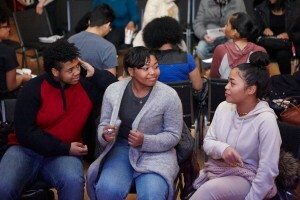 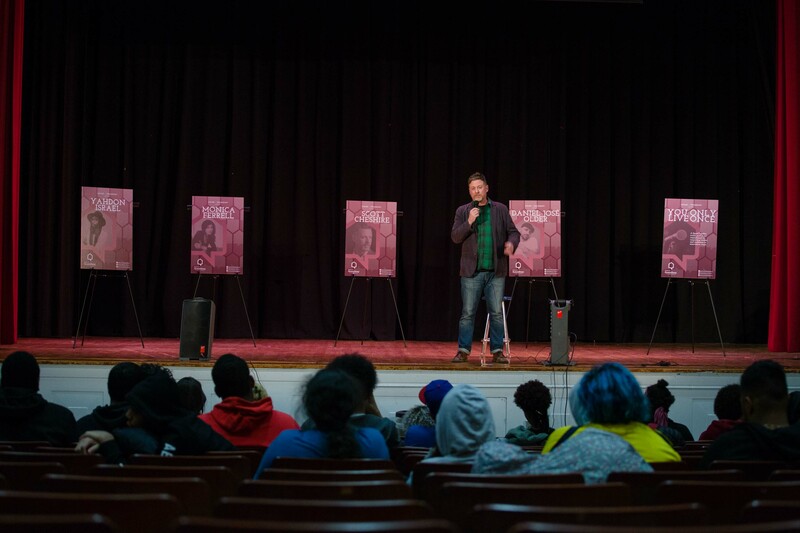 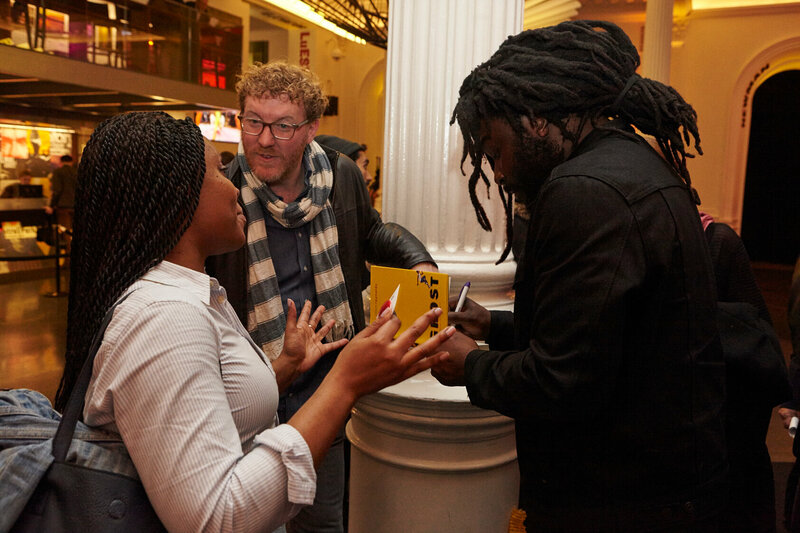 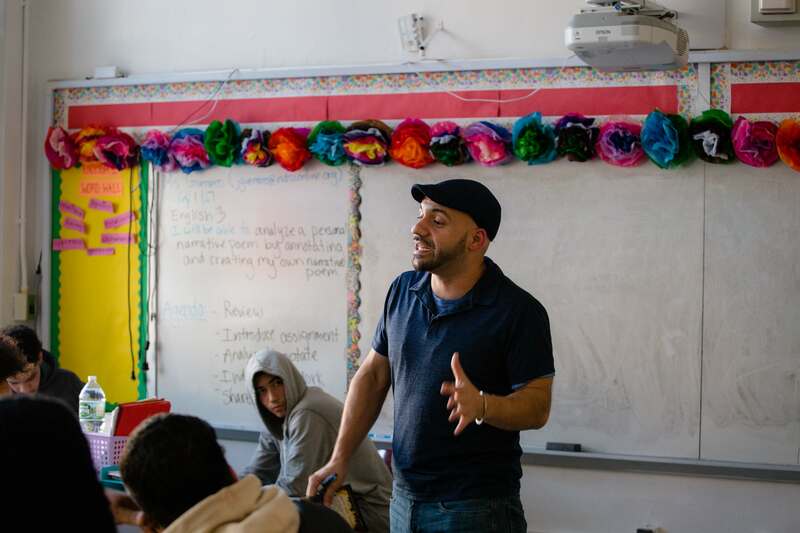 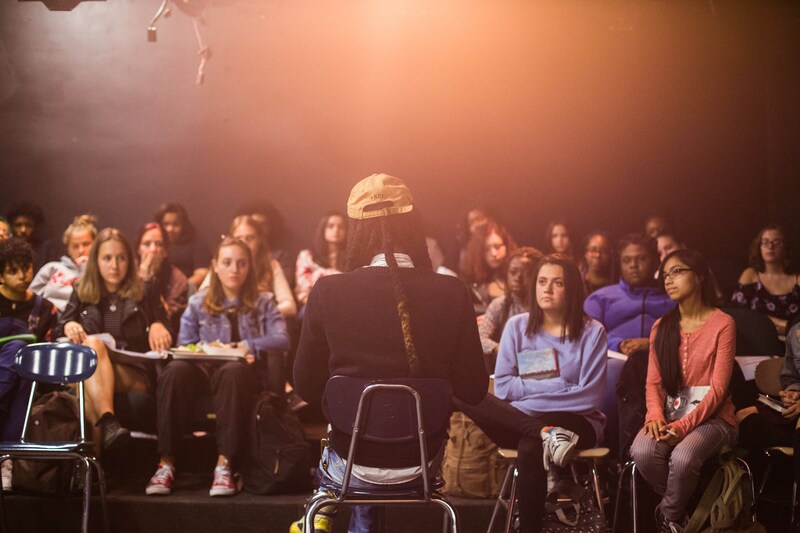 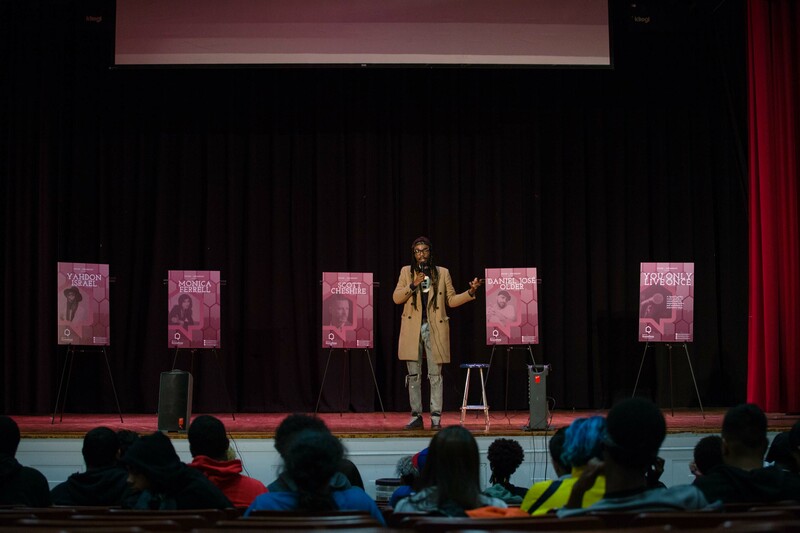 In addition, we also organize student matinees in partnership with public schools in Brooklyn and The Bronx, featuring writers and actors sharing life stories and offering small group workshops. 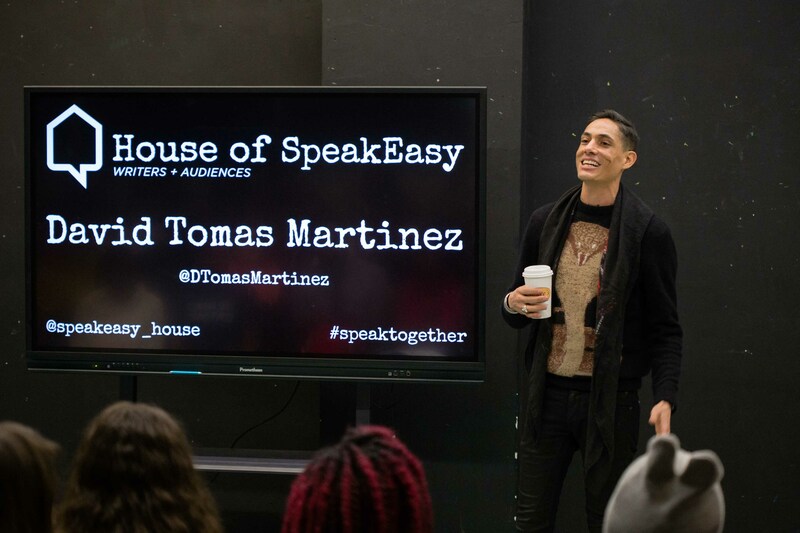 Matinees feature a range of poets, novelists, and actors sharing inspiring stories on a pre-selected theme (i.e., “Seize the Day,” “You Only Live Once,” “Turn the Page”). 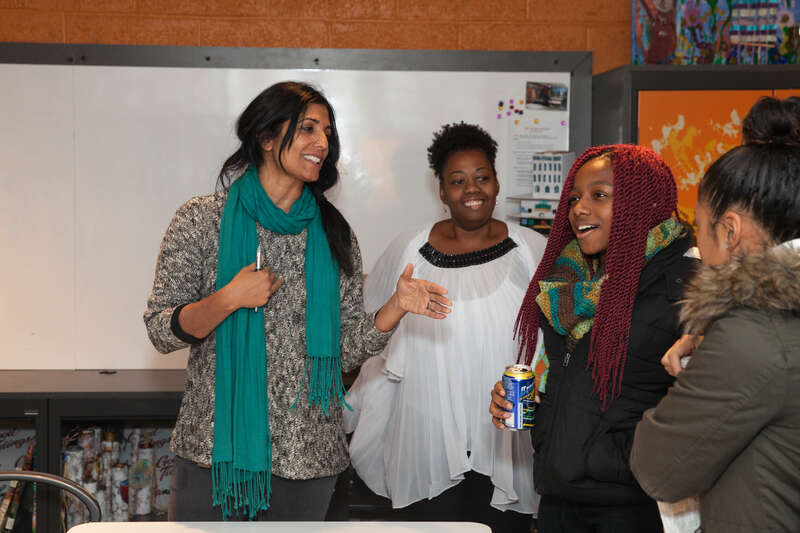 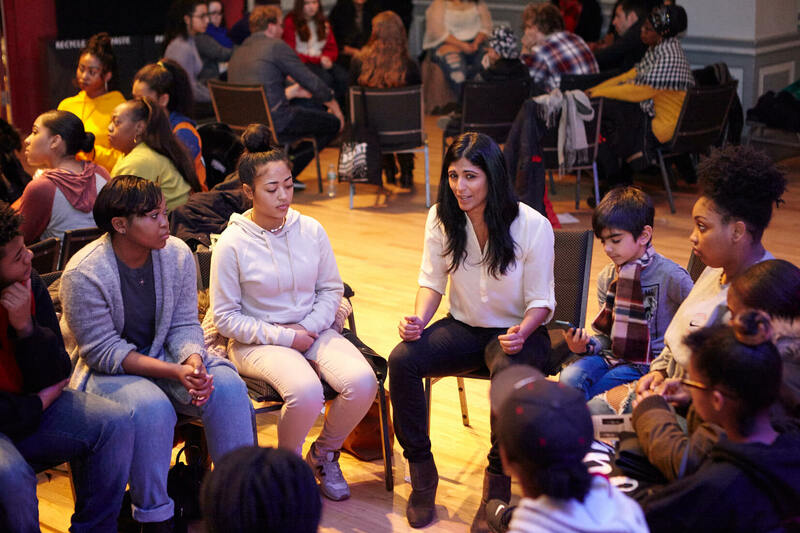 Students experience the power of storytelling up close and personally, with ample opportunity to workshop their own ideas with the artists who inspire them. 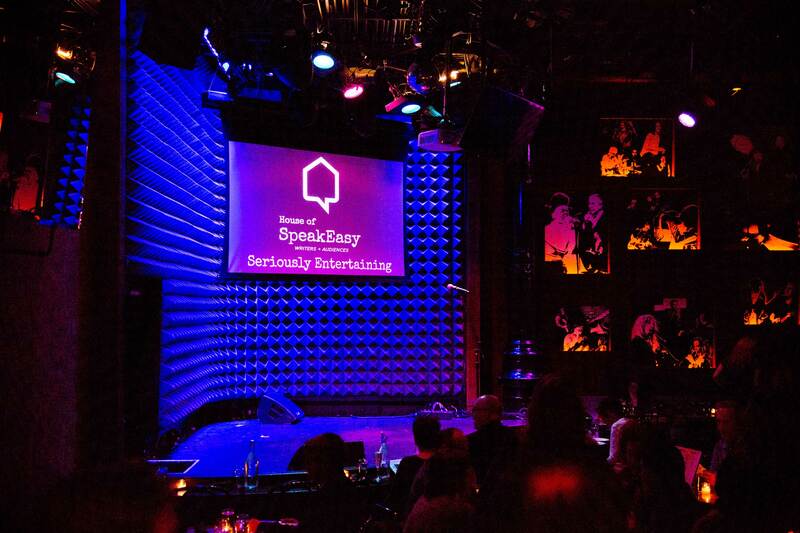 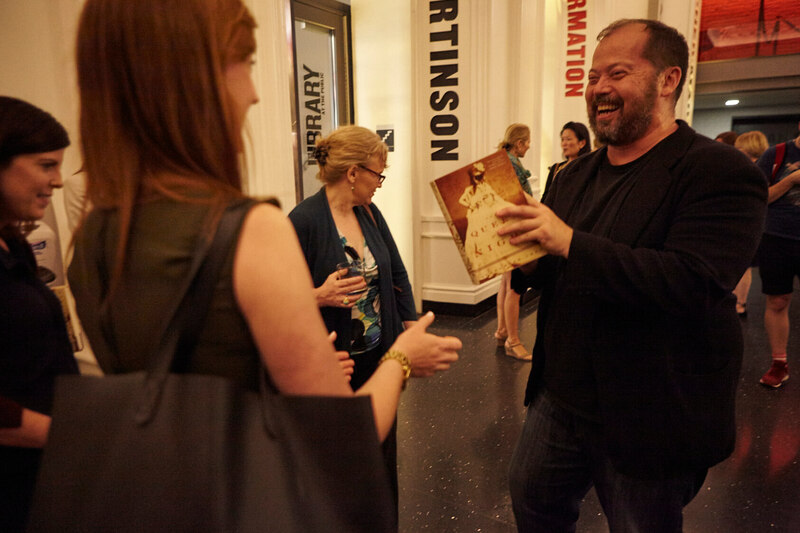 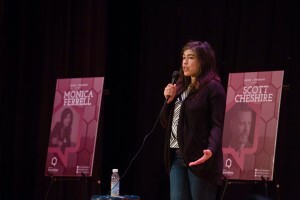 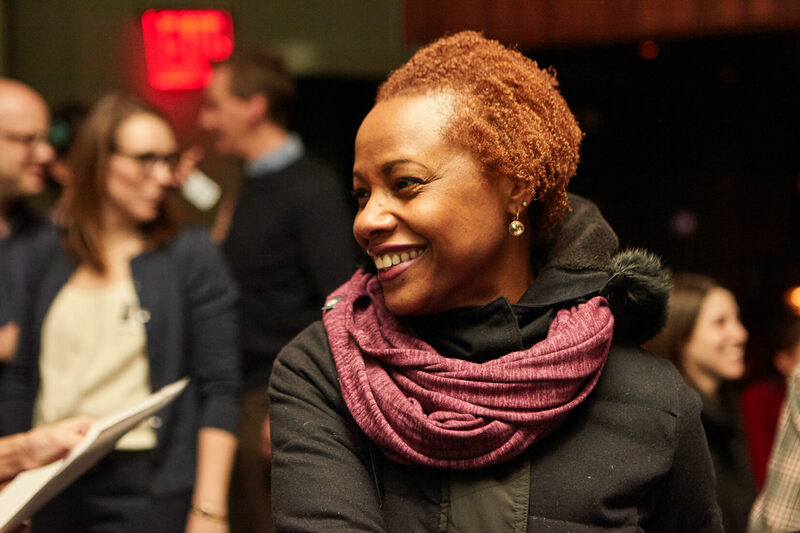 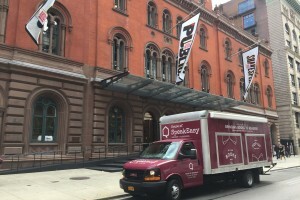 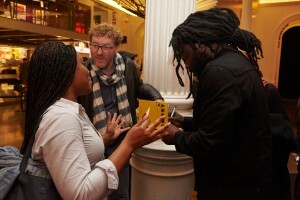 Working with public schools and colleges as well as The Public Theater, our SpeakFreely program provides complimentary tickets to Joe’s Pub shows and Shakespeare in the Park performances, allowing teachers, students, and school administrators to engage in conversation and to experience the intimacy of hearing writers in entertaining environments. 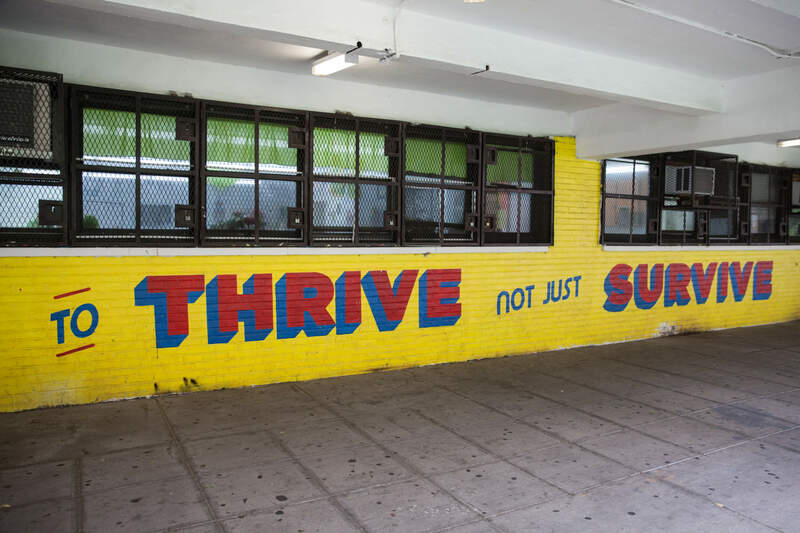 For more information about any of our Seriously Involved programs, to get involved, or to volunteer, please contact Paul Morris, Strategic Director, at [email protected].